Note: Periodically parts of the trail become impassable from floods and other damage. 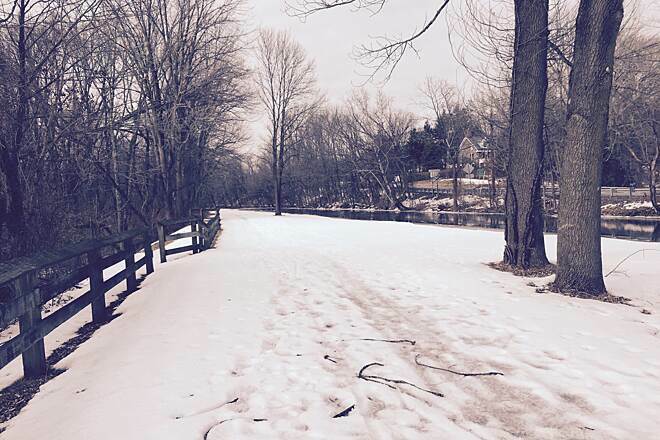 For updates on trail conditions, visit the Canal State Park website. 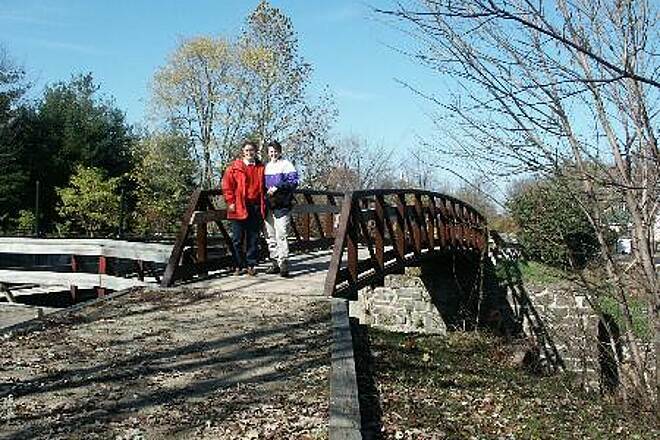 The trail offers more than 70 miles of pathway and is shaped like a “V” with Trenton at its center. 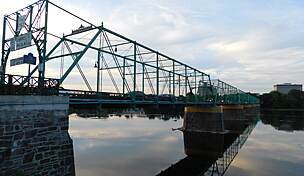 It connects many other towns along the way, including Frenchtown, Lambertville, Ewing Township, Princeton, Franklin Township, and New Brunswick. It’s also part of the developing East Coast Greenway trail network that runs from Maine to Florida. 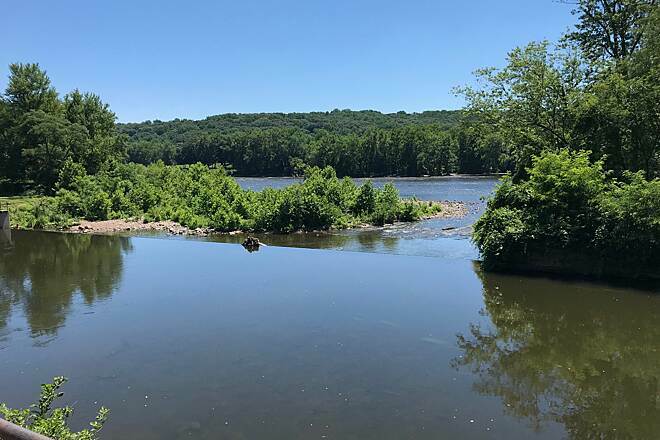 In Trenton, trail users can cross the Delaware River on the historical Calhoun Street Bridge to enter Morrisville, PA, and connect to the incredibly scenic D&L Trail. South of Trenton, a short, disconnected segment of trail runs between John A. Roebling Memorial Park and Hamilton Marshes. 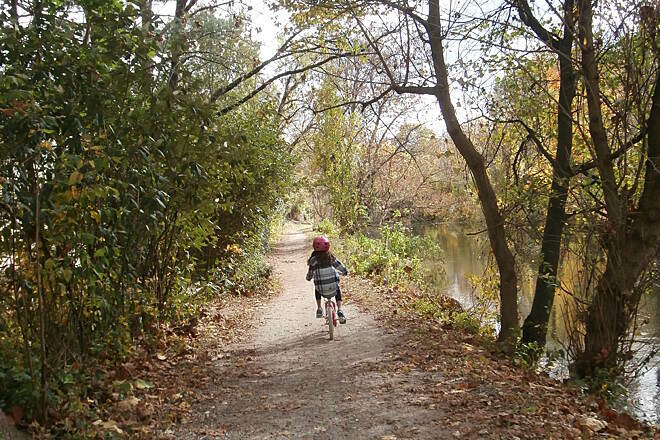 You can access the Delaware and Raritan Canal State Park Trail from dozens of places along the way. Refer to the map for more details or visit the Canal State Park website. We rode this trail late afternoon to twilight and found it delightful. The trail hugs the canal and is mostly on crushed stone but very smooth and firm. we saw a ton of wildlife and the scenery was beautiful. Lots of shade mixed with open areas for sun. We will return to this area and ride the entire trail from trailhead to trailhead. 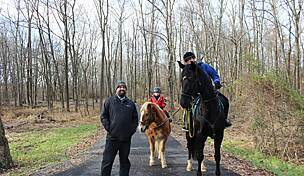 We joined the trail just outside of Robbinsville N.J.. Gorgeous ride at a great time of the day with great weather. Rode the southern section from Bulls Island state park south towards Washington Crossing. About 14 miles one direction. The path is tricky at times and mostly narrow the entire length. When it is crowded as it was when we rode, you have to be careful and take it slow. If it's a fast ride you want then this is not the path to take. However it is a pleasant and scenic Ride along the Delaware. The path is all packed hard dirt and crushed gravel. I had no problems with my narrow rode bike tires. 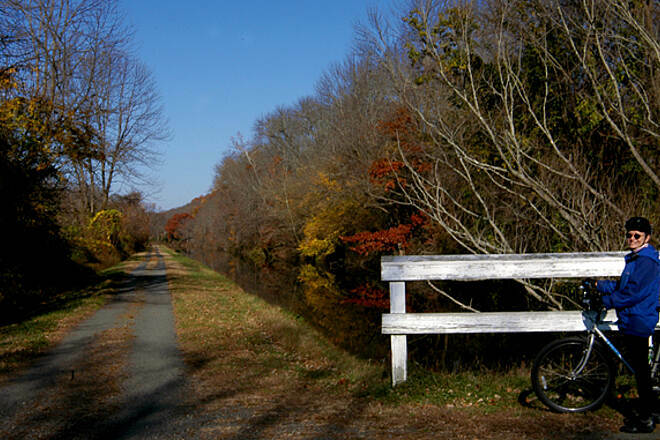 I have ridden both the western feeder canal trail from Washington Crossing to Frenchtown and the Eastern canal trail from Lawrenceville to New Brunswick. Both trails are very different with one being far better than the other. 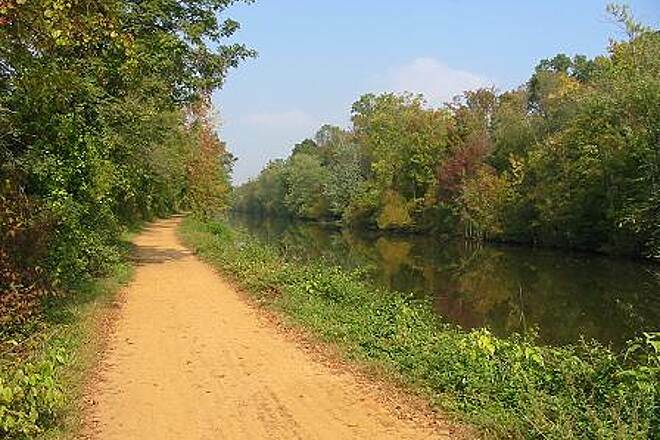 The Eastern trail is well maintained with varied scenery and multiple trail heads as well as the option to cross over to the PA side of the canal. There are multiple stops along the way to grab a bite to eat, go to a real restroom or fill up on water. I highly recommend this trail. The Western trail was in pretty rough shape with sections that are strewn with substantial ruts and large mud puddles. There is really only one stop at Kingston that offers easily accessible places to eat or use a real restroom. With both trails being relatively close to each other there is really no reason to choose the western trail over the eastern trail. I rode the Trenton to New Brunswick section. Most of it is in great condition with a few rough places near the New Brunswick end. This ride can be done as a one way ride. Park at the New Jersey Transit Hamilton Station. There is a sidewalk that connects to the westbound platform to access local streets for about a mile ride to the trail. The north end of the trail ends about 1 1/2 miles via city streets to the NJT New Brunswick Station. Take the train towards Trenton and get off at Hamilton. NOTE: Be sure to check NJT schedules as not all trains permit bikes. My wife and I did our first ride on the PA side from Morrisville to Washington Crossing State park. Round trip ride was about 18 miles. There is parking I the Morrisville section, and the trail is easy to pick up just across the street. The path is all crushed red gravel and dirt, very flat and easy to ride with any type off bike. I have a road bike and my wife a hybrid and we had no problems at all. Never had to change gears once. There are lots of wild life along the way,especially ducks, so be on the alert. Parts also get a little narrow in spots, but really not a big deal. We drove into the visitor center at Washington Crossing and had a light lunch we packed before heading back. Can't wait to try some other sections of this trail! The D&R trail that runs along the river is very nice, and it's very cool how it connects to the D&L on the other side of the Delaware River via bridges. We did both of these trails but one of the days we started on the NJ side parking off of US 1 South. We biked down to Trenton to connect with the trail that heads North on the river. Getting through Trenton was neither worth the hassle, nor potential safety issues riding through an urban area with little familiarity of the neighborhoods. Look up Trenton's crime rates and I think you will probably understand what I mean. We actually blew a flat downtown but luckily we didn't draw too much attention to us. There is plenty of biking on both of these trails, just skip going through this area, it's not worth the risk and you are not missing anything. We did not get to ride the other northern section of the V located on the NJ side but from what I gather it’s along highly populated areas, and highways. If you are looking for scenery and quite I think the river side is the best option. 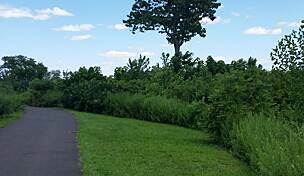 I've ridden this trail many times with various starting points (and guests); my favorite being the parking lot adjacent to the DE River at Washington Crossing State Park on the NJ side. We'll ride N. from there to Lambertville (~7 mi) and either through the quaint side streets of the village, or a little further N. on the trail (up to 6.5 mi to Bull Is. for heartier riding partners) before heading back the same way (depending upon who I'm riding with) for about a 15 (28) mile total ride on a flat, scenic trail. I like starting there because there is ample parking with a rest room and we can ride the paved River Drive through historic Titusville, a small village that sits on a bluff overlooking a picturesque stretch of the Delaware R, before jumping onto the fine gravel of the canal trail. Enjoy! Very scenic, easy hike from New Hope. 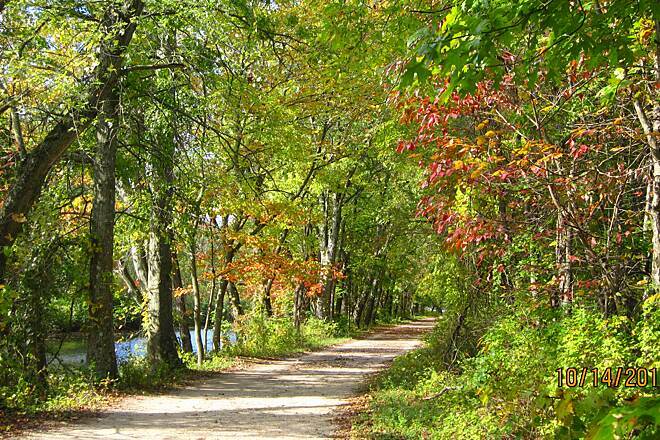 This is a beautiful trail along the canal and near the Delaware river. Lovely towns of New hope penn.and lambertville N.J. Easy riding from the south to that point at least. Enjoy. Did a 2 hour ride just under 21 miles in July, beginning at Tinicum Park in PA, heading south on the D&L. Intention was to just ride down and back on PA side, but trail conditions were not great in PA on the D&L, so we decided to go further, cross footbridge in Lumberton,PA into NJ (Bulls Island) and come back via the D&R. Glad we did. The 9 miles we traveled north from Bulls Island to Frenchtown were wide, well maintained, shaded and pretty. Lots of river access. The bridge at Bulls Island is nice, with great views of the river. While they call this a canal trail, it really is a rail trail (The old Bel-Del)-wider, with fewer canal-stuff-obstacles that require turns and bridges, etc. Frenchtown is a great spot to walk around and there are many nice places to eat-the town is cyclist aware-they get your dusty, sweaty , bike-pants wearing types all the time! We always wanted to ride this trail but it is SO popular that access to parking can be tight(esp. in Frenchtown) so this loop on the PA and NJ side was great for us(plenty of parking at Tinicum park.There are multiple access points in NJ-Bulls Isl, Kingwood- but it's a popular trail). The NJ trail blows away the PA one as far as trail condition, so this was a great way to END a ride. Cross over the Frenchtown bridge to Uhlerstown-make a left then your first right(Uhlerstown Rd) and go about 1/2 mile to see the old Uhlerstown covered bridge. The PA trail from this covered bridge south to Tinicum and about 5 miles south of there is in good shape...go further, and it's OK, but not great. 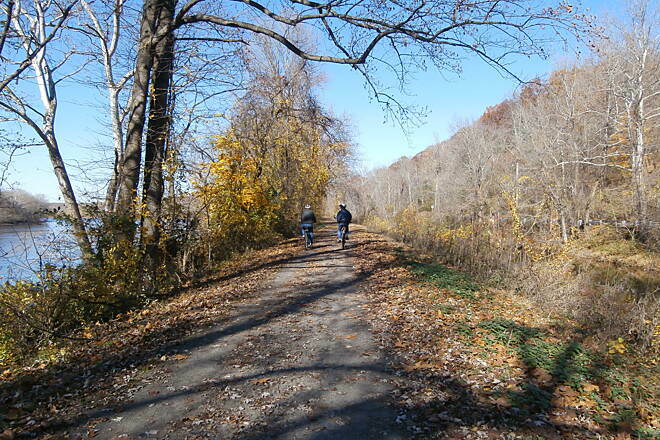 Our "home" trail is the Columbia Trail in Hunterdon & Morris Cty-the D&R NJ trail along the Delaware is a bit better condition wise, and has more "to do" around it, with all the artsy towns and a major river. If you like the Columbia, you will love this part of the D&R. Starting out doing small parts of the trail with family, abut 4 miles at a time. Enjoying this trail very mush!! Rode the main canal towpath from New Brunswick to Trenton and it was quite an adventure. There is a different “feel” or “character” to this approximately 40 mile ride. At times you feel as if you are riding a country lane in New England; in some stretches the feel is fairly urban (especially the last stretch into Trenton). 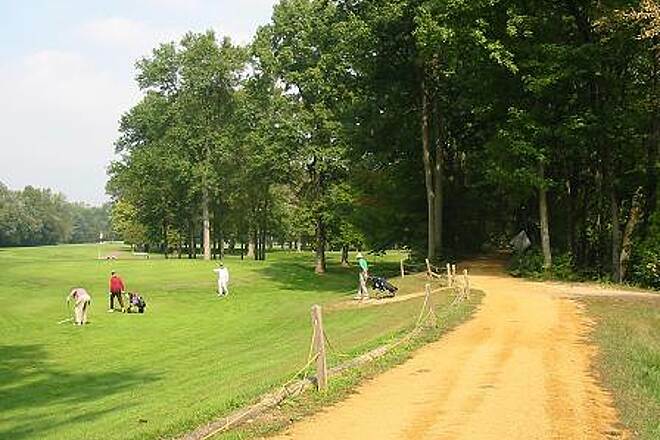 You will share the route with the usual assortment of walkers, joggers and other bikers as well as horseback riders. 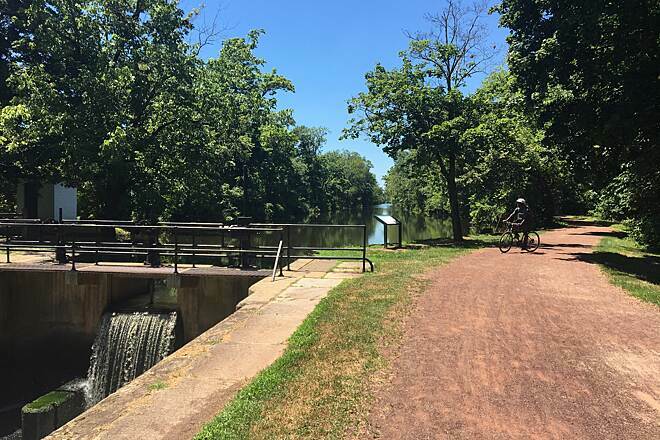 There are not as many amenities right on or just off the towpath as there are in the stretches along the feeder canal north of Trenton, so plan accordingly. 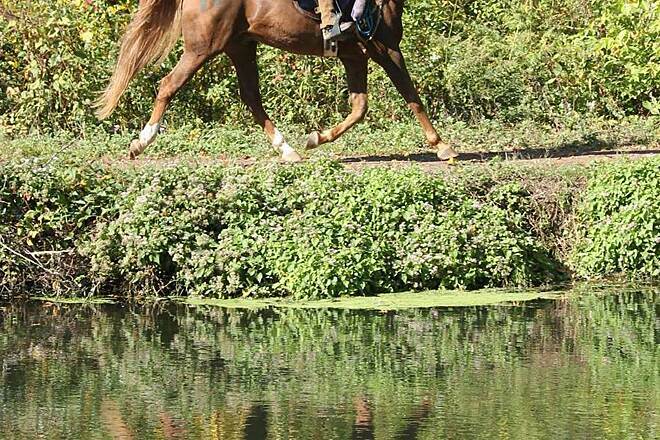 Most of the surface is well maintained and easily negotiated by riders of all skills. Some stretches, including some of the old stone spillways, are rugged. There are a couple of turns and a few hills to break up the usual monotony of the basically straight and level towpath. Great ride for an early fall weekend morning. My wife and I rode the D&R from Washington Crossing State Park (easy entrance, safe parking) to Frenchtown and back down the D&L on Saturday, September 26th. The round trip was almost a perfect 50 miles. The weather was ideal for the ride. 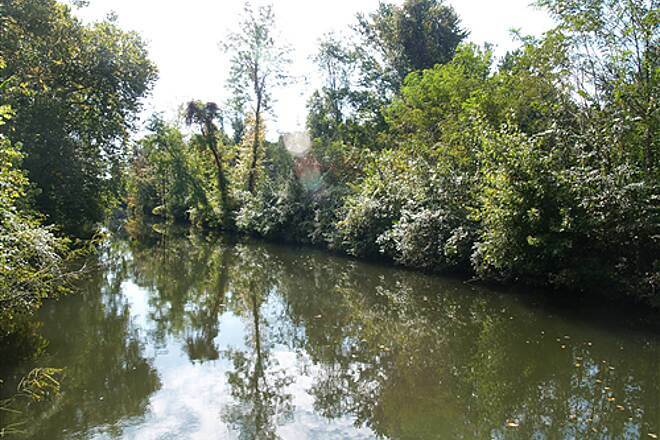 The trail is in very good shape, the canal is clean, beautiful and well maintained. The view is spectacular in the open stretches, as you have the D&R Canal on your right (riding North) and the Delaware River, 100 feet or more beneath and to the left of you. Along the way there are "waterfalls" created by modern spillways to keep the canal level constant. There are scenic vistas and towering exposed cliffs in the rural sections, and old, very European canal communities in the towns along the way. **This is vitally important** Near Labertville there is is a "business" route and a "bypass" route. If you take the former, you will be sharing a very narrow trail between the canal and the town, with strollers, walkers, bicyclists, and dogs. You DON'T want to do that, though the scenery is amazing. Once we got outside of town we joined another trail between the canal and the river that was much wider and way less used. The business route is best enjoyed on foot. The same is true on the D&L on the Pennsylvania side of the Delaware River, in New Hope. In Frenchtown there are a number of fine restaurants, but we chose the Bridge Cafe, as it is on the trail. When we were there all but four of the diners had cycling pants and most had jerseys too. The food was great, and not too expensive considering this is a very high rent district of artists, hipsters, and technology company (pharma mostly) professionals. The footbridge to the D&L is maybe five or so miles south of Frenchtown, and is a great photo opportunity. We started in Frenchtown, NJ and ended in New Hope, PA. Ride was nice and shady. NJ side better than PA side. Wish it had a few more turns and hills. Great trail for the family. Last week I rode from the trail head off of Bernard Dr. to north of Frenchtown and had a great ride. I went back to Bernard Dr. and rode to Rock Hill and back. The first three mile are much like the ride up to Frenchtown but then the one plus miles though Trenton, It is not well marked and goes though a rough part of town but now I can say I did it. Once though Trenton it dose get better and I had a great ride. The surface is not as good as the Feeder trail but it still is a nice ride. We parked in the lot in Griggstown, which had spaces available on a sunny Saturday. One plus was a porta-potty by the edge of the trail. We headed south, as our destination was Princeton. It was a lovely day and a smooth ride for us - 3 adults and 5 kids, age 8-14. The trail is very scenic as it has the canal on one side and often time the Millstone River on the other. We took Washington Street over to the Princeton campus and parked our bikes there, and then spent some time walking around he town and campus. We all rode quickly on the way back and it took about an hour - pretty good for the assorted ages! Overall it was a fantastic trip with varied and beautiful scenery. It was fun to see the skulls on the river as we got close to Princeton and we also saw a snapping turtle on the side of the trail. Hope to come back and ride it again! The Trail from Fenchtown NJ to 4 miles passed Lambertville NJ (aprox 18 miles) in excellent shape today for early April and a terrible winter. No mud and few sticks. However,Very windy today a lot of effort heading back north. 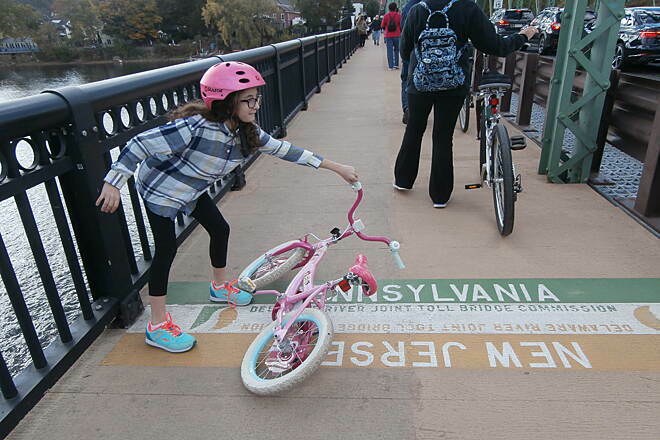 Could knock you over if you attempt to cross the Lambertville bridge without dismount. Last year, I rode the eastern part of this trail. Recently, I rode some of the western part, from Lambertville to Frenchtown. This part of the trail is very flat and easy to ride. It doesn't follow the canal as much as the other section. However, you do ride along the river for the remainder. We parked at the end of Union St. and started our ride there. 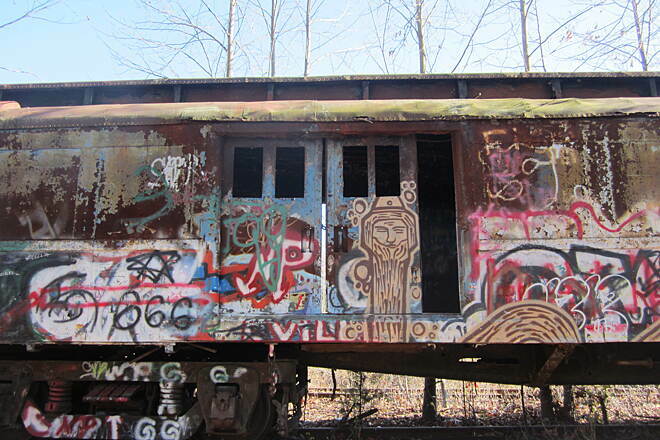 There's a cool, graffiti-covered train car at the beginning of this part of the trail. We also saw a bald eagle along this segment. I gave this section 4 stars, as it isn't as scenic as the eastern part, where you can see numerous locks and read about the history of the canal. Lambertville is very quaint with many shops, restaurants, and beautiful architecture. This part of the trail also passes through Stockton, which offers shops and restaurants too. Also, Pennsylvania is right across the bridge on Bridge St.
Generally walk in from Bordentown entrance. Some loose boards on train bridge that require some repair, but nothing major. Just worrisome when on a bike. Shortly down path, before the next bridge, a tree was damaged by storm and blocks the path. Easy to navigate around, but wish someone would cut it out. After that it is clear sailing whether walking or on a bike. Excellent to take your pup down and there are a few good Geocaches too. Make sure you look for the eagles nest. Downside: All the foot traffic and noise coming from the overlook. Open and clear. Nice walk with easy access to the water bank. The state parks were excellent to go through on both sides of the bridge. 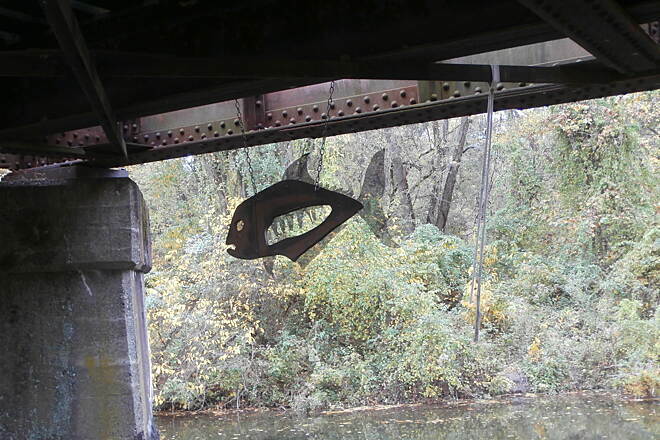 There were a couple Geocaches, however the one under bridge is a pain to find. October, 2014 by emily b. Rode from Lawrenceville through Trenton to Washington's Crossing and back on a sunny weekday in mid-October. Generally, it's an easy ride, since the grade is perfectly flat. 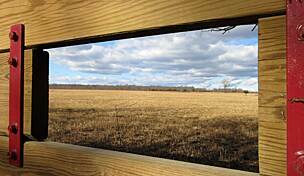 However, east of the Delaware River, the track often dwindles to one or two cindered tracks about eight inches wide. It's quite possible to ride single file in the track, but not as much fun as riding the wider track along the river. There are also some busy streets to cross on the east side of Trenton, near I-95; avoid them at rush hour if you can. The canal path is lovely, with a fair amount of wildlife. We saw wood ducks, great blue herons, kingfishers, and a beaver dam. Between Lawrenceville and Trenton, the trail parallels U.S. 1, so you get some road noise. Just east of Trenton, the canal disappears for 1-2 miles and you ride on an asphalt-paved rail trail through a semi-industrial landscape. West/north of Trenton, everything is green, with glimpses of the Delaware through the trees. Although my companion and I didn't feel inclined to linger in Trenton, we didn't feel unsafe, either. Yes, you'll see neighborhoods where houses are boarded up or abandoned; the western stretch in Trenton, though, is surprisingly green and pretty. One confusing aspect of the Trenton path is that it divides for a mile or two and then the two parts rejoin. The split is better marked as you're heading east; one arrow points to the Greenway and the other arrow points to the Trail. 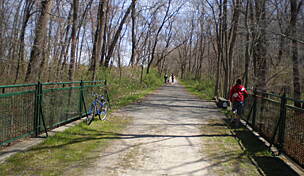 The Greenway is shorter, although parts of it are more secluded. The Trail goes along the canal and is harder to follow, zigzagging through (mostly quiet) streets and parks. If you're heading west, the split happens about a half-block west of the small park with the giant stone monument to the Battle of Trenton; the D&R Canal Park signs point to the Trail, while the way to the Greenway is a dirt track leading off to the right in a little park. If you're looking for a place to stay with quick access to the canal path, I'd recommend the Howard Johnson's in Lawrenceville, which is just across U.S. 1 from D&R path. (You can cross at a stoplight.) We didn't see much else in the way of cafes, restaurants, or other amenities near the trail until we got to Washington's Crossing, where there is a small tavern. I'm already looking forward to another, longer trip that will let me explore the rest of the trail. I walked this trail from on stop up from Rutgers. It's a very easy trail, as it's flat. Great for jogging with the dog, or mountain biking. It had a dirt path, which I find much gentler on the feet than the paved one. Next time, will try out other parts of it, as it's pretty long. I rode what would be considered the western part of the trail on Sunday, 8/16. It was my first time to this trail and it was a rainy day to start. I started out in Milford and parked by the soccer field which did have a port o john which was better than nothing after a long drive to get there. The trail itself was perfect for me as I don't get any great sense of satisfaction from climbing hills, those days are long gone. It parallels the Delaware River almost the entire 20 miles one way which gave me a 40 mile round trip. I didn't want to stop but I had to gauge my condition to get back to my car. This brought me a short ways past Lambertville which is a beautiful, quaint town. There was a bridge closed on the trail which does force you into Lambertville but that's fine too. The trail itself was in excellent condition, very smooth. A good deal of the view is somewhat blocked by trees but still very enjoyable. There are a number of signs talking about the history of the river and the canal which was most informative. I don't know what it's like normally, but this day had very few other bikers, walkers and joggers but that could be because of the weather or the time of the day as I started out at 8 AM. The sun did make an appearance about 9:30 though. Even though it was a 60 mile drive for me to get there, I plan to do it again this weekend and I am already looking forward to a ride in the fall when the leaves are starting to change! I highly recommend this trail. I rode the Columbia Trail by Chester NJ a week prior and this is far better. Go and enjoy! The canal ride was fantastic and no bugs. A bit busy with runners, folks riding bicycles and also canoes on the canal. If your horse is spooky to those activities this might not be the place to go as there is no place to "pull over". We had a good group of horses so it was not an issue. Six Mile Run was fun but you need a willing horse if you following the bike trails (marked for horses) as it is an obstacle course at times; there is a lot of open field riding as well. Serene, scenic and never too busy. It does get muddy and impassable sometimes, but heh…it's the outdoors. 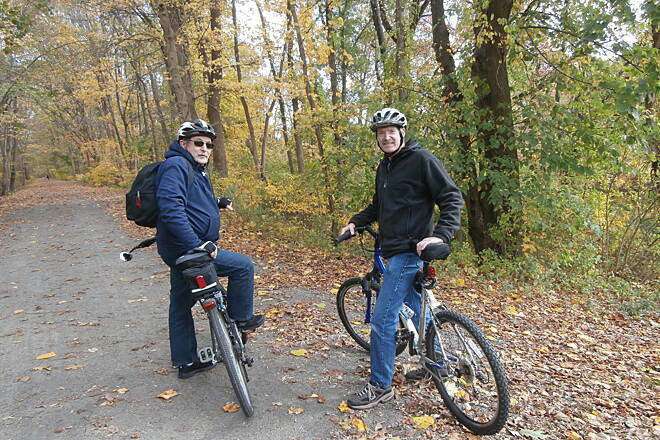 This week we rode the Main D&R trail from Amwell Rd south to Carnigie Lake (12 miles one way). There were sections that were heavily washboarded by overflow from the canal. The trail would not be good for road bikes. I previously reviewed this trail a 5 star, but I just went a few days ago (last week of May) and the trail is unrideable, I don't know what's going on. I usually start in New Brunswick at the trail end near Johnson Park and ride to Princeton & back, and the trail is fine for about the first 1/8 of a mile, at which point there are some minor breaks in the trail, enough to slow you down but not horrendous. I figured it was just from the recent rain, until I got to about the 1/4 mile point (if you're riding at a decent pace this is about 3 minutes in) at which things get really bad, the whole trail ripped up and exposing large sharp rocks underneath. You would need a true suspension mountain bike to handle this, but even then what would be the fun of a flat trail of harsh rocks? From that 1/4 mile point onward to about the 2.5 mile mark I had to walk my bike (a crossover racing bike - made for rough terrain but no suspension) at which point the trail got even worse, where it was hard to walk over some spots. I ran into a group of college age girls coming the opposite direction who told me it just got worse further down. I was so upset, this is my favorite trail, and I usually start riding in early May so I know it has nothing to do with time of year. So my question is, did the state stop keeping this trail up? I can't imagine why they would, it's hugely popular and historically significant with several Civil War battle sites and other historical sites along the way. It wouldn't have been an issue, but even after Hurricane Sandy the trail was in great condition all last Spring/Summer, I don't know what the deal is this year!? I rode the trail from South Bound Brook into Princeton. Like others have said, the scenery was surreal. I will be back soon to cover all of this and the D & L trail in PA. It deserves five stars. Rode this trail on Halloween morning. Great ride on a dirt trail. The trail is very scenic and peaceful. 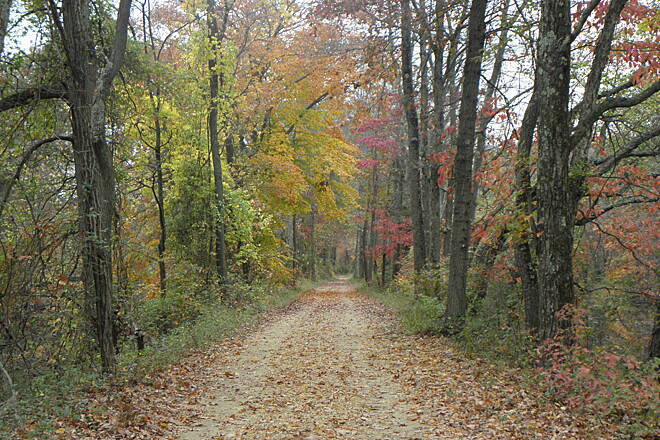 I entered the trail on Amwell Road in East Millstone. From the maps the trail seems to be very long. I only rode for about an hour and a half due to the sudden rain. I will definitely make this a "go to" trail. I've only ridden from Lambertville to Bulls Island,(and the return trip) once; But i have bigger plans. I want to eventually finish my 'Bicycle-towed-Canoe-trailer', and ride up, and return via canoe... But plans have a way of not getting finished quickly. I've been working on the trailer for only 2 years...and i've not had the time to return to the area. But it has been a favorite trail/trip of mine when i was younger for walking trips. Great scenery, level surface makes it easy for the 'not-so-fit' to ride, and plenty of trail-side attractions for food and such. 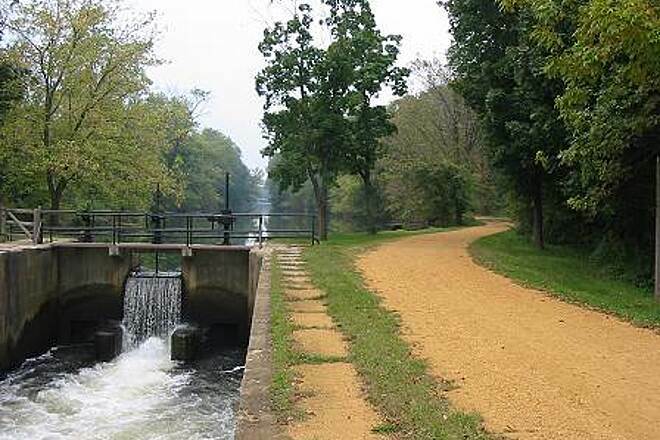 I am always looking for a trail that will allow for a multiple day tour like the Great Allegheny Passage and C+O Canal. When you combine the Delaware and Raritan trail with the D+L Trail on the PA side of the Delaware together you get 120+ miles of trail with scenery and old infrastructure that will keep your interest. With exception of the sections damaged by flooding (PA side) it is an excellent trail for those who want a long trail experience. 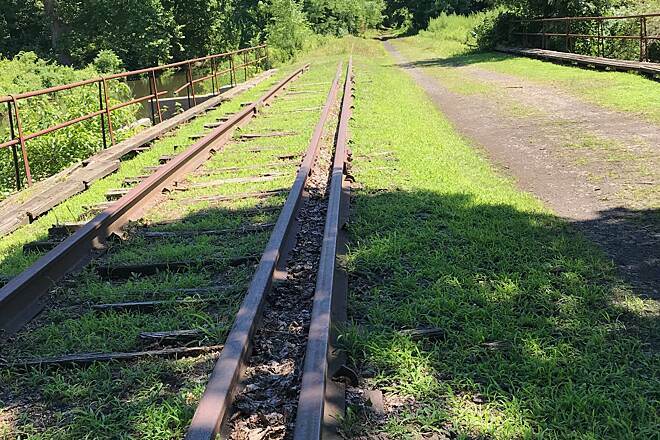 Curiously the D and R Trail is missing from the New Jersey Section of the official Rails to Trails book for NJ that you can purchase on this website. I have covered, over the years, every centimeter of the Delaware and Raritan Canal trail between New Brunswick and Frenchtown (even Milford), and in its entirety it is a super-star trail. I just hope the reviewers who have skipped the Trenton segment because they feel intimidated by the prospect of traveling through poorer urban neighborhoods do not frighten off less faint-hearted cyclists. The Trenton portion is not the most sylvan part of the trail, to be sure, even though the quality of the trail through Trenton in most places is actually quite good. 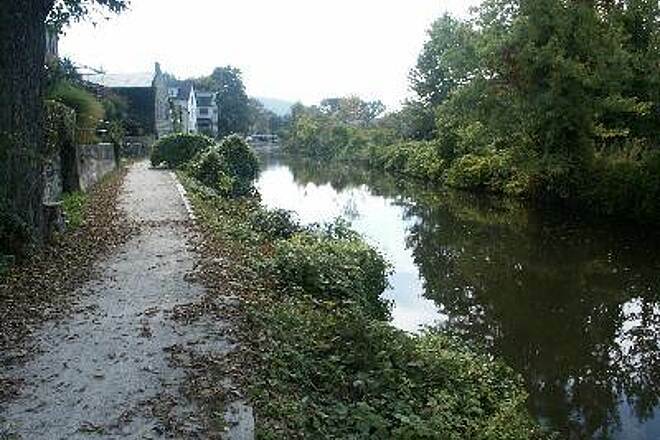 Coming south from Princeton, the canal runs for 1.2 miles right alongside US Route 1 through an old industrial zone of Lawrence Township and Trenton, at which point the canal disappears under Route 1 at Mulberry Street. For the next 1.5-mile stretch, where Route 1 was built over top of the canal, there is now a very good-quality asphalt trail running alongside the freeway on an old railway bed. 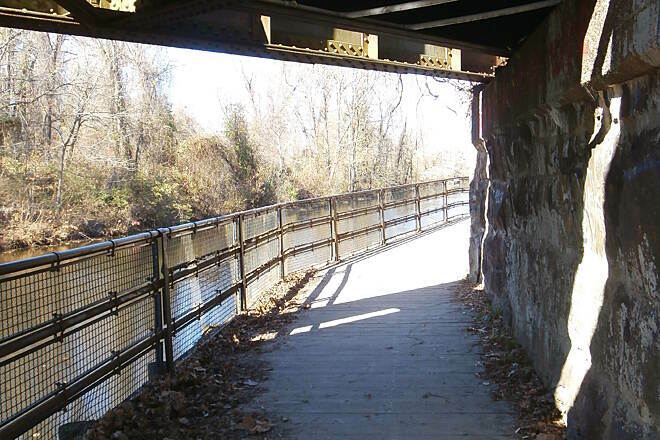 The trail crosses over Route 1 to connect again with the canal as it reemerges from under the highway in Trenton's downtown. Starting at Montgomery Street, the cyclist following the feeder canal is going to have cross a quick succession of streets that pass over it. There is an awkward moment, just south of Trenton's revolutionary-war battle monument, where there is no cut-away in the curb on Broad Street; if you don't want to have to lift your bike up onto the curb you can go half a block north, where a cut-away leads you cross through the one-block park. An asphalt trail hugs the feeder canal for the next block, to Willow Street. At this point the D&R Canal Park now offers two route options. 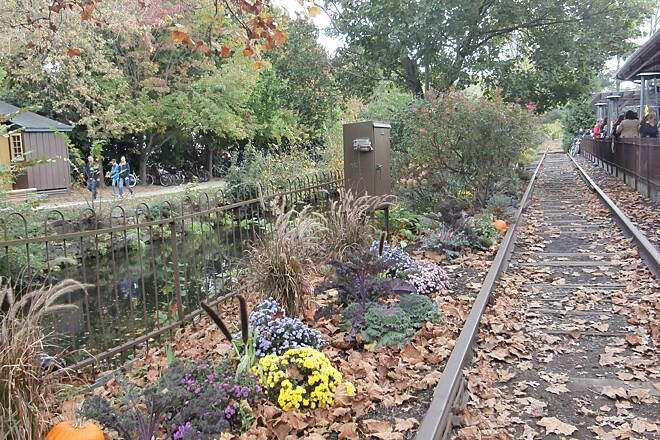 One is to stick close to the canal, crossing a half dozen streets where crossings are usually signaled by Belgian-block crosswalks; this is a somewhat wending route that takes you within a block of the New Jersey State House and a cluster of other historic sites. The alternative is to follow a trail laid on the old rail bed of the Belvidere rail line, which is not at grade level and thus allows you to make a straight shot without having to pause for cross streets, from Fowler Street till the canal trail reconnects with the rail trail west of Prospect Street. There is one grade-level crossing ahead at Hermitage Avenue (where yes, neighborhood folks congregate or "hang out," but melanin-deprived cyclists should not feel threatened). Beyond that it is a straight shot past Cadwaladar Park for 2.3 miles to the next grade crossing at Lower Ferry Road in Ewing Township. I do this route frequently--and fearlessly. There is a mix of urban landscape and, west of Hermitage Avenue, a surprisingly wooded and pastoral feel. There's another piece of the canal to explore, a bit to the south. Two miles of the main canal were emptied in the late 1940s to permit construction through Trenton's downtown south of the US 1 freeway and then State Route 129. 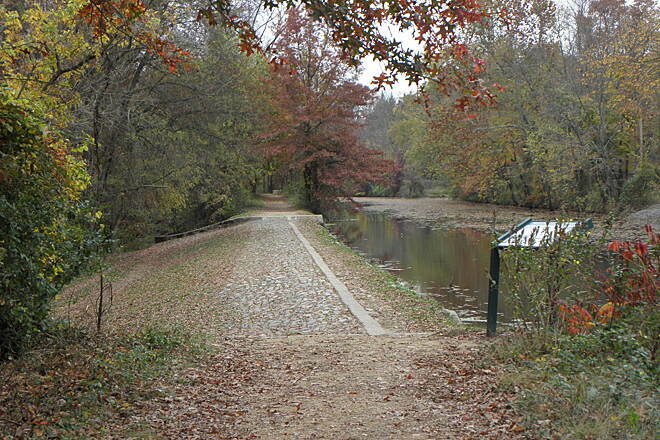 The last 4 miles of the canal, to the terminus where it empties into the Delaware River at Bordentown, still remain, however, and in 2009 a trail was opened up alongside this orphaned segment of the canal. Running through the Trenton-Hamilton Marsh, this segment is unlike any other along the main route of the canal. It's a very different eco-system from the rest of the canal, and there is no urban or suburban (or even rural) encroachment, though the River Line does run alongside the canal on its other side and we do have to pass under Interstate Route 295. One oddity is that, because this segment of the canal is disconnected from the the canal's water flow, its water level rises and falls with the tides in the tidal marsh. From Trenton the cyclist has to navigate the city's streets and its riverside park path to get to the entry on Canal Boulevard, but it's well worth discovering. 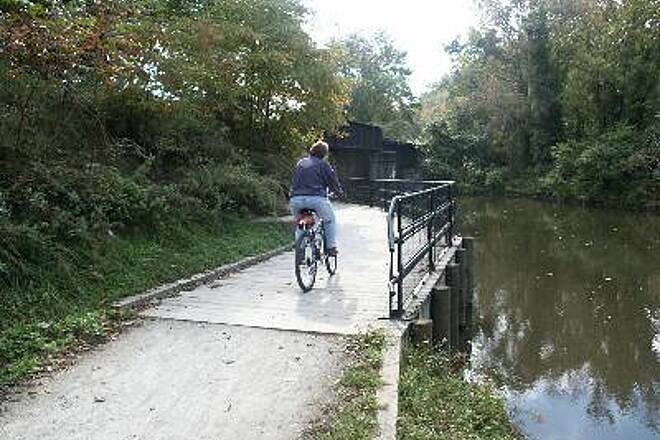 And if you don't want to cycle back on the same route, hop the River Line in Bordentown for the 10-minute ride back to the Trenton train station. Have riden the trail many times and, as a Trenton native, I can't recommend riding the Whitehead Rd to Lower Ferry Rd. part. That area was unsafe in the '70's and still is. I rode the following bypass last week and it allowed me to go from Kingston to Lambertville. We rode the trail from Blackwell Mills Rd. to a bit past the Port Mercer Canal House. The surface, for the most part, is very easy to ride on. I have a mountain bike and my husband has a hybrid. 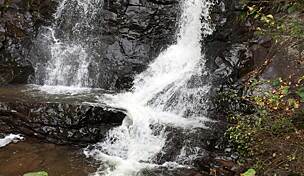 Some areas would be difficult for road bikes, particularly the large rocks on the spillways and the loose rocks that cover some small sections. The scenery is beautiful. Even though you're riding near a road a good deal of the time, it isn't a distraction at all. We saw a lot of turtles sunning themselves on the logs and learned about how locks work. If you're not sure which way is north or south, keep the road and canal on your left side to go south. This isn't clear on the maps that line the trail. If you start from the Blackwell Mills Rd. parking lot and map it on this site's directions, don't turn on Canal Rd. Keep going straight at the 4-way stop sign, go over the little bridge, and the parking lot will be on the left. Have biked all of the canal from Frenchtown to New Brunswick over the years except for the section thru Trenton to Whitehead Road. 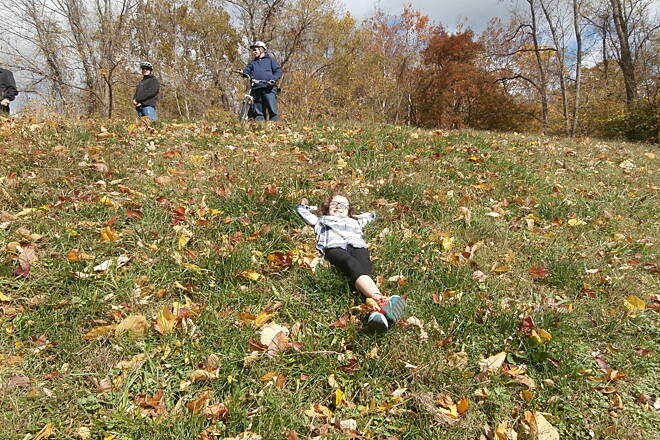 Tried to do the Trenton section today and didn't make it. Got to one street beyond Cadawalder Park (Hermitage Ave?) and turned around - did not feel safe, trail got trashier and there was a group of local rowdies on the above street. There were 2 Trenton police officers patrolling in ATV's near this section. Rest of Canal Path is great, always have a good time and depending on where you are there is access to food etc. Highly recommend. Would like to read a review from someone who has ridden thru Trenton. Lovely trail, shady and flat. We started in Frenchtown after lunch and only made it to Washington Crossing and back. Trailside cafes were at Stockton (small cafe by the trail + a few picnic tables), Lambertsville (the trail goes right through one of the main streets with plenty of restaurants and cafes) and Washington Crossing (small cafe by the bridge). Other than that, didn't spot anywhere to refill on water, though there were random porta potties around. 28mm road bike tires were just fine on the trail. Also spotted a few people with baby trailers which would be fine on most of the trail - excepting a few spots where the track splits into two distinct tracks (instead of one wide path). Watch out for the geese along the canal ... they seem pretty immune to bikers! Lots of turtles in the canal too. Had a great ride on the entire trail yesterday. Started in Frenchtown in the morning and ended at Johnson Park in Piscataway in the evening. Although the entire trail was a great ride, I favor the Delaware River portion over the Raritan River portion. 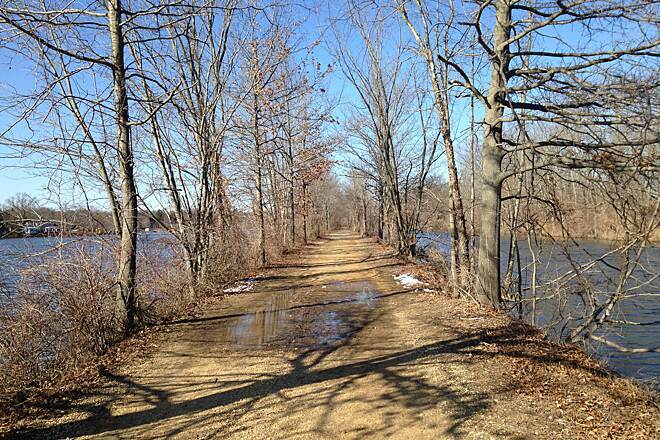 The trail is a bit wider, more scenic and better drained along the Delaware. I also had a little difficulty finding my way through Trenton but with the help of my smartphone/GPS, I was back on course in no time. The ride north along the Raritan was surprisingly pleasant but some poorly drained sections made for a slower ride; couldn't avoid the mudpuddles in a few sections. Also had to navigate my way through some vehiculr traffic in Manville due to closed section of trail between Amwell Road and Weston Canal Road (this was my own fault for not planning better). I recommend anyone taking this ride to check the construction notices on the Delaware and Raritan Canal Commission Websitehttp://www.dandrcanal.com/). Despite my few gripes about the mud along the Raritan Canal towpath, this is a fabulous ride with beautiful scenery. I don't recommend trying to complete it in one day unless you are in very good physical condition with a means of transportation back to your starting point (I parked my car in Frenchtown and took a NJ Transit train home from Bound Brook). Enjoy! We started at Washington crossing and rode all the way to French town. Great scenery, some good restaurants and deli on the way. Lots of wild life. Will go back in fall again. This is easily the best trail I've ever biked on. Not only is it smooth (I ride a street bike and never had a problem) and extremely fast, but the scenery, history, and nature alone are breath taking. I start at the Rutgers access point (beginning of trail) which is in a very urban neighborhood, and somehow, as soon as you're on the trail you feel like you're in the New England countryside. I can't say enough good about this trail; I've taken some great pictures, stopped during my 25 mile bike ride to read on one of the benches, learned some NJ history from the plaques, and met some great people while stopping for a rest. I also think some of the previous reviews are exaggerating how bad the trail is after a rain. Unless we had days of rain or torrential downpour the trail is usually ok within a few hours of sunshine (longer if cloudy). The only thing though is that the rain kicks up alot of allergens if you have them. 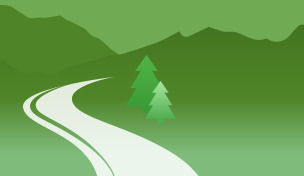 One thing I would also like to recommend is driving to different access points because the trail scenery and terrain really vary along the way. I work in Princeton and when I get on there it's totally different than New Brunswick or Bound Brook. I'm hoping to go out ever further this summer. The only warning I have is to watch out for the living things! After 6-6:30 sunglasses are a MUST to keep the gnats out of your eyes (so painful) and mosquito spray is essential. Earlier than that there isn't much. Also, if you go in spring time watch out for the SNAKES! They are mostly just racer snakes but they dart across the path alot which could get you bit (unlikely) or more likely kill a snake or fall off your bike trying to avoid it! I've also encountered baby red fox (thought they were kittens at first), deer, beaver, groundhog 1/2 the size of capybara, frogs, huge fish (in the canal), and more turtles then I've ever seen in my life. Also, full of rare birds. All in all just great. Just a great day on bike New Brunswick to Trenton about 40 miles. Trail surface in very good shape, signage right on much wilder than expected with water on two sides about 85% of time. You would never know your in one of the most densely populated states. N.J. state parks has done a very good job with this trail. This canal is very accessible for biking and passes through some heavily populated area's in NJ. Very enjoyable for all ages because most of the time you're shaded by adjacent trees and there's a lot to see and learn along the trail. 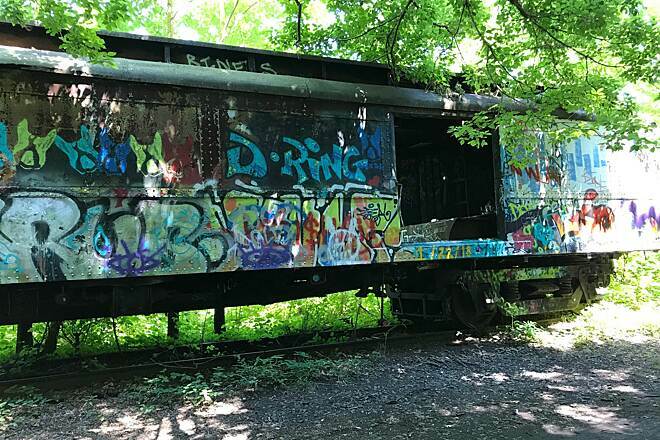 I'm 16 and I live in the heart of New Hope, P.A., and since I was about 7, my interest in the railroad tracks in Lambertville and Milford have increased tenfold, I know the whole story of the Bel-Del, from when it was built in 1851, when the last freight train ran to Phillipsburg, N.J. in 1978, and unfortunately the utter destruction of the once famed Pennsylvania Railroad divsion in 1979 and 1980. I am a railfan, and I am always going to be sad to have never seen a long freight running to Trenton or Phillipsburg, but my curiosity continues to let me ride my bike along the Bel-Del's R.o.W. I've only explored the town of Milford which isn't sanctioned on the rail-trail (abandoned tracks still exist), between Frenchtown and Milford, below Frenchtown where the Kingwood Station foundation remains reside, the Byram area and the Bull's Island (Raven Rock Station) area. I got to these places by car, and I only investigated these particular areas without walking to the next point. I used my bike from Lambertville all the way to Prallsville (a section of Stockton), and Lambertville to where the Golden Nugget Flea Market is located, which is also the site of Goat Hill Station. I've taken rides to Moore, Somerset and Wilburtha, walking around to look for any railroad elements. My Trenton visits were only based in the former Pennsylvania Coalport Yard where the Bel-Del merged with what's now an abandoned portion of the NJT Camden-Trenton Branch. I've been here at least twice, and I did feel somewhat safe walking along the one abandoned track next to Bel-Del's R.o.W. Overall, though I'm sad I was born too late to see a train run through Lambertville from Trenton or Phillipsburg, the D&R does it's best to keep its trail in a well condition. A quick note though, the Bel-Del trail above Lambertville becomes a bit rougher because some of the railroad ballast rocks are still in the ground, and this goes on and off north to Frenchtown. Beautiful, beautiful, beautiful. The surface is a fine crushed stone, very easy to ride on, and 98% perfect. The slope is regular from one town to the other. The scenery is fantastic and varied. Arriving into Lambertville from the North is a unique experience. The historic side adds interest. On a fall Sunday afternoon, the streets of Lambertville were very congested. The PA side of the Delaware appeared very rough even for mountain bikes. I picked up this trail in South Bound Brook and rode 12 miles south, then back. It was a smooth ride, for the most part, as you ride between The Canal & The River. It had few rocky surfaces. So far I've rode this trail 3 times. My goal is to ride from South Bound Brook all the way to Trenton, then back. I cycled on the Canal arriving on train from NYC to Trenton 13.5$ and cycled up to Easton. It is a very nice ride, mostly flat and the view of the canal on one side and the Delaware on the other is great! I continued all the way to Port Jervis- also cool! If you are looking for a quality ride surrounded by nature, check this trail out. 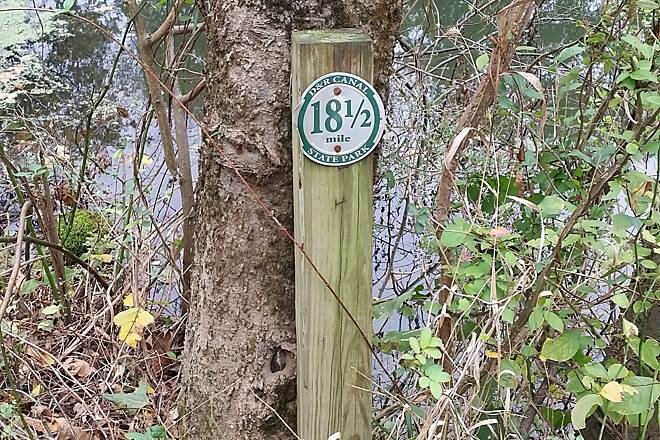 This beautiful trail is marked on one side by the canal and either forest/river on the other. The best part of it is that other riders/walkers/runners are few and far in between so you get to enjoy the trail without the crowds. I have seen more traffic in the canal with canoers than I have seen on the trail! Since this is such a long trail I have divided it up into portions. I started my first trek at the BoundBrook parking lot and rode south until I got tired. I took note of where I ended the ride for that trek and turned around. The following week I drove directly to my turnaround point from the previous week and began my trek southbound from that point. I have since gone back to ride the trail, each time beginning the trek where I left off the time before. I have yet to finish riding the entire trail but I am in no hurry. I am enjoying this one too much. The trail is mostly flat ground. The few elevations I have encountered so far are easy to maneuver. You will see many historic buildings along the way as well as some period specific architecture. Periodically you will come across signs with photos and a some historical information about either the canal or buildings. Take the time to stop and read them. It gives you a whole perspective on the area. I have taken friends to ride this trail and all have had very positive things to say. Be prepared to see some wildlife as you take this serene ride (deer, rabbits, turtles, chipmunks, squirrels and birds of all types). Pack a lunch and enjoy a quiet picnic by the water's edge. Bring along a camera, also. You will encounter many "Kodak moments" along this trail. Even on very hot/humid days this will be a very comfortable ride, thanks in part to the coolness of the water as well as the tree canopy covering most of the trail. I would suggest you take some insect repellent since mosquitoes have been encountered. Overall I give this trail very high marks. It is by far my favorite in NJ so far. Rode from Washington's Crossing to Frenchtown and from Princeton to New Brunswick this weekend (speaking as a Trenton-proper native, I wouldn't recommend the interim portion). Both are currently unobstructed, with all repairs completed from last Fall's storms. Rode the Princeton section after a thunderstorm and it was nothing but puddles and mud, but much better after Rocky Hill. Newly resurfaced for the latter half into New Brunswick. Where the trail ends in New Brunswick leaves you on a rather busy George St. Look for a park entrance and cut through that to the Rutgers campus. 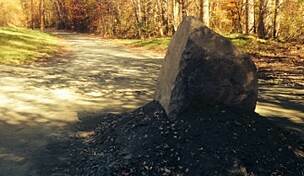 The WashCross to Frenchtown can be done with a road bike (crushed stone surface). The Princeton to New Brunswick would be best with a 28cm-32cm tire (crushed stone, but sections of stones, puddles, mud, large-stone flood drainage portions. The camping sites at Bulls Run have been closed, but water/bathroom facilities still there, I believe (as, also, in Washington's Crossing and just south of Lambertville (towards the river)). In Stockton and Frenchtown, you're reliant on the businesses. From P-town to New Brunswick, not much available. 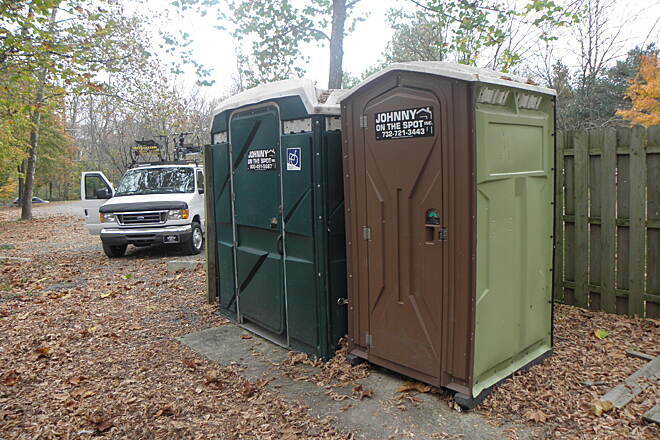 Cold drinks and a port-o-potty in Griggstown, otherwise no water or facilities for 26 miles. Grease trucks on Collage Ave in New Brunswick. All in all, beautiful riding! 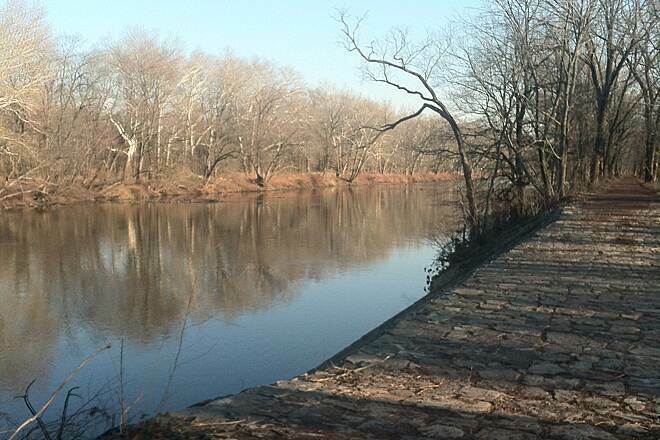 We ride the feeder portion of the D&R along the Delaware every year and are very familiar with its riding surface. I had recently heard that the main canal from Trenton to New Brunswick had been resurfaced, so we decided to drive to New Brunswick and give it a try. We rode from the Landing Lane bridge (behind Rutgers stadium) about 6 miles west past Bound Brook before giving up and heading back, the trail surface is rough and unpleasant. There are a lot of debris from the recent Irene flooding so maybe the alleged "new" surface was washed away I don't know but we encountered a variety of surfaces, including fist sized railroad ballast that required us to walk the bike. We were running 70x32 tires on a hybrid which are fine on the feeder canal, but not for this portion of the main canal. On August 22rd I did the Main Canal form Kingston to New Brunswick and back. Again this trail is very well maintained just like the feeder Canal. If I was going to do it again I would start at Rocky Hill as there is a spillway between Kingston and Rocky Hill that would be a challenge for a family. There is lots of shade and a lot of picnic tables along the total length of the trail. It took me almost an hour longer coming back as I stopped and read most of the historic marker, this is a trip back in history. It is just unbelievable that this trail runs though the middle of a highly populated area. I was on my trusted old Mt bike and you could do it on a cross over but I am not sure that a road bike would be a good choice. This is a family friendly ride. The only draw back on this ride are a number of spillways, they very on how tough they are, some better then others. The State of NJ has done a great job of maintains. There are great views of the Raritan river and there are a lot of wild life. I just do not give out five stars but this ride is close. My 9 year old daughter and I rode the eastern section from New Brunswick for about 8-10 miles on a hot mid June day. 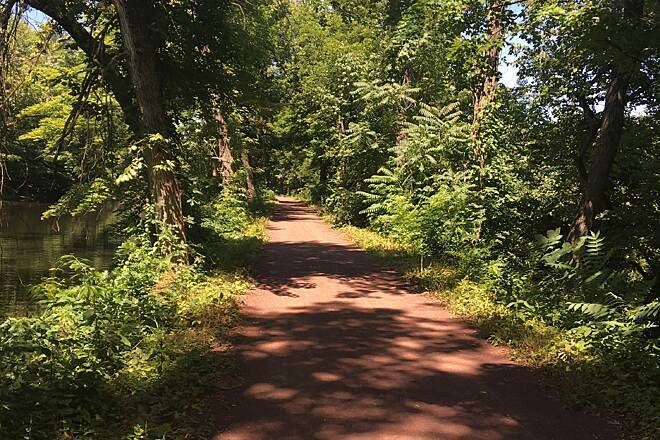 It is a very well maintained cinder trail with great views across the Raritan river and the canal simultaneously as the trail is sandwiched between them. This makes for a very peaceful ride and in places the trail is all that is between the river and the canal, which is an unusual experience. In places it widens out and it feels like a forest trail too. We saw herons and egrets fishing by the river and plenty of other bird life. Also, if you're an industrial history geek (I am) the disused locks and spillways are fascinating; from a time when the canal was dug by hand and everything built using labour and very few machines. The trail is also very shady as tree cover is probably 80-90% on the section we rode so it's a great bike ride even on a hot day. The riding is easy as the trail is almost perfectly flat and there's plenty of points of history en route. 40 minute ride from Manhattan (exit 9 NJ turnpike), plenty of parking at the New Brunswick trailhead. Rode the eastern segment from New Brunswick to Trenton - 73 miles total. Wonderful trail and is in great condition. 85% - 90% of trail smooth and level; however, must transverse several stone work spillover structures ... a disaster for skinny tire bikes but no problem for wide tire mountain hybrids. 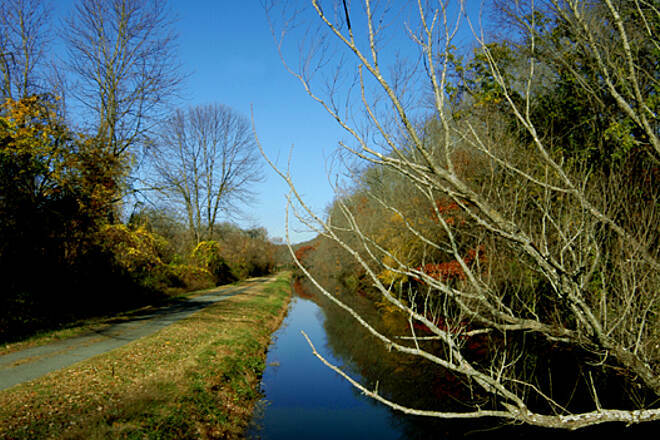 Scenery and surroundings are beautiful as the trail follows along a canal/river system. However, was a little unsettling in Trenton. Some homeless individuals live in makeshift housing alongside the trail, neighborhoods not the greatest and also ran into a flock of "rude" geese camping under an overpass. Best to stop at about the 4-mile marker (near Lawrence NJ). Bring plenty of water and nourishment cause not many places to get food and drink. Also be sure to have spare tubes in the event of flats..help is not readily available/ All-in-all a great day! Will have to try the western segment from Trenton to Frenchtown. 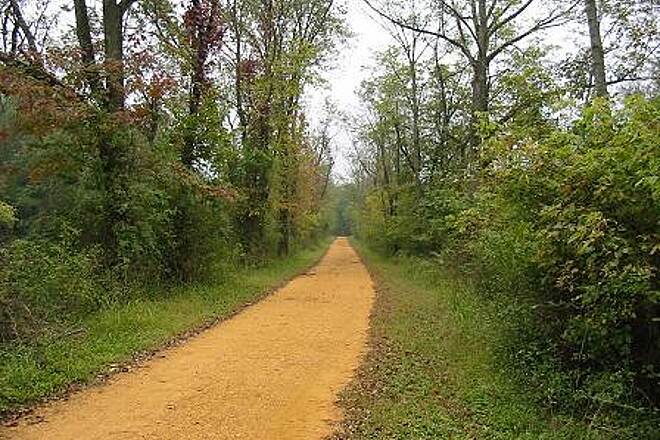 I enjoyed a 90 minute run on this trail on June 5, 2011 and saw a large white swan and a couple deer. There were also people fishing at different points on the canal. I parked at South Bound Brook and I think I ran in the direction of Edison. Wish it had been a longer run. It would have been better if there was a single track off the main path but there might have been at times. Glad I found this gem not too far from Newark. I parked in the South Bound Brook parking lot, the rode to just south of the Rte 1 overpass to the Hamilton NJ Transit location, took a train to New Brunswick, then rode back to Bound Brook - 37 miles. The trail has been resurfaced with a crushed red stone (slate?) that makes for a really nice smooth ride from New Brunswick to mile marker 18. Even going south on the older surface was not bad - the condition varied from good to very good. I found a nice Deli on Market Street in East Millstone, just south of Amwell Ave (a 2 min bike ride off the trail). South of Bound Brook, this is the most convenient place I've found for food and drink. I had heard that the trail condition south of Princeton was not so great, but it was not bad and some nice scenery (my first time South of Princeton). The New Jersey Transit connections make this ride do-able from NYC or really anywhere you can get to NJ Transit, and you could do either or both sections (the Bound-Brook to New Brunswick ride took me about an hour as it took a while for me to get to the trail from the station. On Wednesday Sept. 22 Patty and I parked in Kingston NJ,and took the trail north. The trail was in good shape a couple of bumpy parts but not bad at all. About 1 mile north of Griggtown the trail was resurfaced with brown crushed stone.It was leveled and one of the best surfaces I have biked over. We rode for about another two miles and realized that the sun was sinking and turned around. We do not know how far north the resurfaced trail goes. We are going back this weekend and ride further north.What we did notice from Kingston north to Griggstown a survey has been taking place so maybe they will be resurfacing all the way south to Kingston. By the way stop and have dinner at Eno Terra,its right on the trail,see their web site below. We Rode this trail on 7/22/10 on our hybrid bikes. 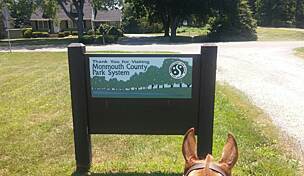 We started the trail at Bulls Island State Park (plenty of parking) and rode to Washington's Crossing State Park, about 13 miles each way. The crushed stone trail was in excellent condition, in spite of heavy rains the night before. Path was nicely shaded, so it was relatively cool even though the outside temps were in the low 90s. The path goes between the Delaware River and the Canal. 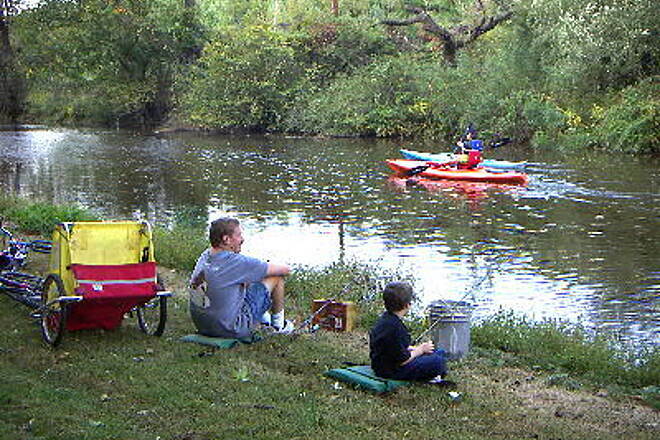 People were trout fishing, canoeing, tubing, etc in the water. We spotted one deer having lunch in a field off to the side; one turtle floating in the canal; 2 very large swans floating and eating in the canal; and multiple butterflies, squirrels, geese, birds and ducks. Variety of trees, ferns, plants and flowers on both sides of the trail (but mostly on the river side). Trail is interesting as you near Lambertville--seems to almost go down an alley (tho one in good shape) and you can easily view the backyards of houses and businesses that border the canal. One of the best, most enjoyable rail trails we've done in the last year or two. Did notice, though, that the trail looks to be a bit rougher beyond Washington's Crossing SP. On 6/4 started out to do a 10 - 15 mile section from So Bound Brook trailhead heading south towards Princeton. Lasted to spillway 19 about 5 miles. We have hybrids and the ride was really rough. I guess because of all the rain/flooding the trail is being rebuilt. Big stone has been dumped. All the holes are not filled and the stone is not packed. The result is a very jarring ride. If you do this section have fat tires and shocks. The best part of yesterday was Reggie's hot dog stand at the parking area. Very good, very cheap. Two other notes - lots of litter near Zarepath, Somerset Christian College and scattered litter from fishermen. The one road I crossed was not marked on the path nor was there a crosswalk on the road. On 5/20 did a section from Basin Road over the Rt 1 overpass to Alexander Road. this section is good for all types of bikes and is a very good peaceful ride. Many turtles and birds, not much foot or bike traffic . On weekends the trail does attract crowds. This section can use some maintenance, the Rt 1 overpass is overgrown with weeks and the porta potties at Alexander Road are yucky. Quaker Rd crossing is dangerous, again no signs warning bikers or cars. Over the years we've done the entire trip in sections except thru the city of Trenton. Those people who did it are brave and made it safely. Wouldn't take a chance. The rest of the path from Frenchtown to New Brunswick is really great. However because of the rains and floods you'll never know the conditions until you get on the towpath. Rode the Whole 79 Miles in 2 Days! 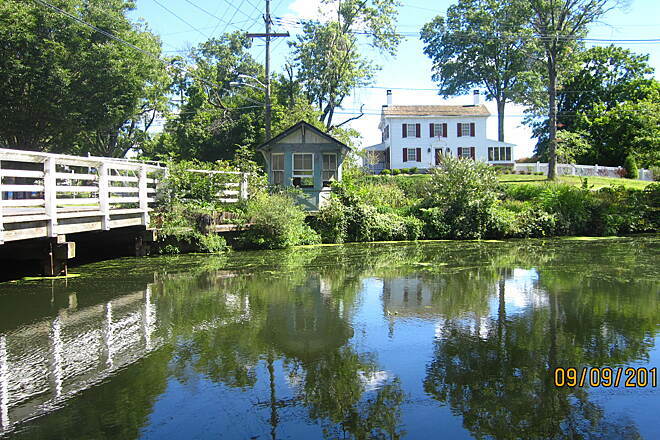 Having grown up in Somerville in the '70s, it was a dream come true for me to return to NJ just to ride the canal. This review is a bit late, since I took this trip on Columbus Day weekend in 2008. The weather was clear and sunny, middle 70's, and autumn colors were fantastic both days. My riding companion and I (good to have one when you get to Trenton) set out at the River Road landing in New Brunswick at about 9AM with our mountain and hybrid bikes. 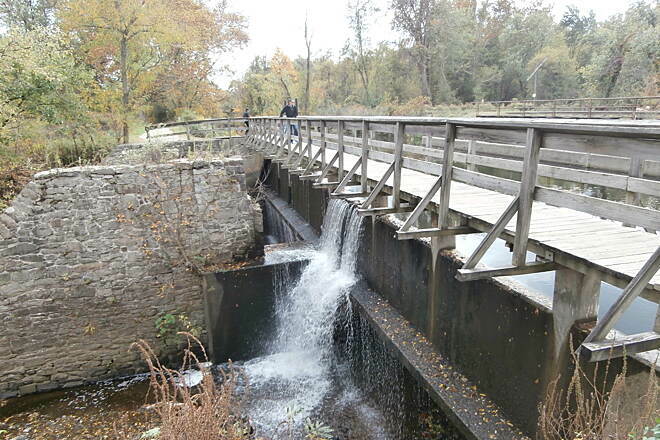 The first historic spillway is a very rough crossing, but after that everything was smooth sailing. The path was mostly pea-size gravel and compaced sand/clay. It was level, but constant pedling to keep moving. There is little relief as far as coasting goes, but it's not that bad. The first day we rode from New Brunswick to Trenton on the Main Canal, from 9:00AM until around 4:30 PM. We stopped at every gatehouse, lock, bridgekeeper's house, and spillway, took lots of autumn color photos -- about every two or three miles. We also detoured from the trail to break for lunch in downtown Princeton. But things do get a bit seedly around Lawrenceville and tricky when the canal goes "underground" at the northeast side of post-industrial Trenton. Here, it's a very good idea to map your route ahead of time and keep moving. We spent the night at the Marriott hotel downtown -- a bit pricey, but reasonably safe and close to the canal trails. 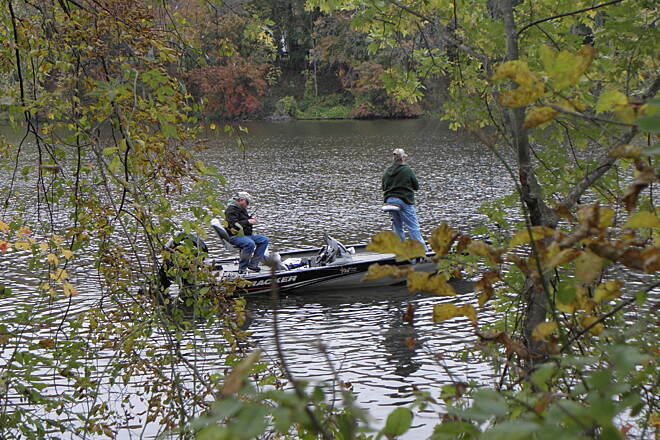 The next day we set out around 8:00AM, found the feeder canal and headed toward the Delaware River. Here, the path is along the former Belvidere & Delaware railroad right-of-way. It's better to go through West Trenton in the morning, and we had no problems. It was espeially fun when the canal crosses two aquaducts with city streets beneath. 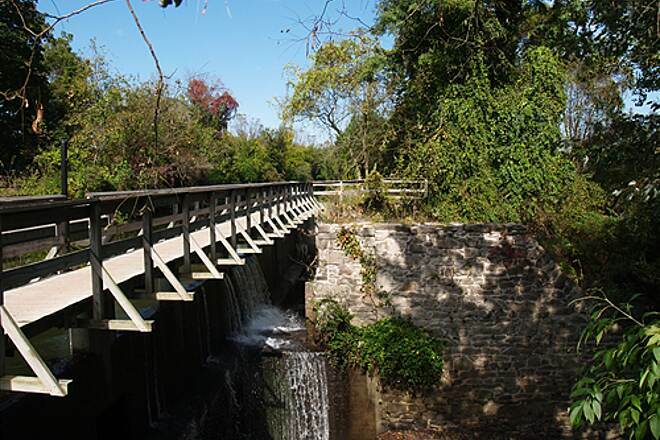 (A third aquaduct is south of Princeton where the canal crosses the river.) 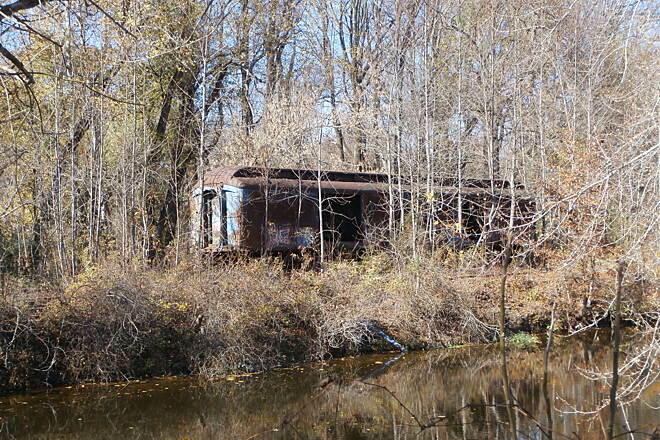 Once we got to NJ Hwy 29 the scenery along the feeder canal and Delaware River improved dramatically. We spent about an hour hob-nobbing around Washington Crossing Parks (both sides), and made it to New Hope and Lambertville for lunch. (Yes, they are touristy, crowded, pricey, and altogether wonderful towns to spend some time.) We then continued on a slightly upward grade, pausing and taking pictures everywhere and seeing everything until we made it to Frenchtown by 3:00 PM. We even found an ice cream shop for our end-of-ride reward. Yes, I would dop this ride again in a heart beat. We were dog-tired by the end, having done 40 miles on Day 1 and 39 miles on Day 2, but still excited to talk about it. If you don't want to arrange for a drop-off and pick-up like we did, I'd recommend the New Hope-to-Washington Crossing loop. Good for a recumbent trike too! Used the trail on 11 Apr 2010. We loved it! Started at Griggstown, NJ. I have a recumbent trike (good for bad backs and balance impaired) and only came across one place that I had to get off and walk it over the washed out path. The towpath has been washed out in many segments north of Alexander Rd and as of 04/11/10 was only filled in part with railroad ballast sized rock. It was downright brutal north of Rte 27, but here many spots were filled with .5"-.75" stones similar to what one would find at the Jersey Shore. I only rode from US1 to Little Valley. On the return trip I used Canal Rd and then the Rocky Hill Branch Rail Trail on the east side of the canal. This cut a half-hour off my time coming back. The Canal's website has a caveat about the damage, but it is not detailed. The Feeder Canal trail is in very good condition from Scudders Falls to Frenchtown. Delaware and Raritan canal towpath New Brunswick to Princeton. I ride this almost daily in the spring to fall season. 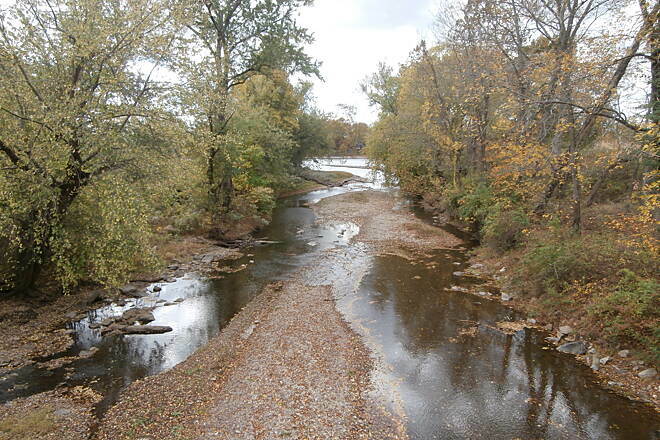 It follows the Raritan river and Delaware and Raritan canal from New Brunswick until it picks up the Millstone river which flows into the Raritan near Bridgewater and Manville. 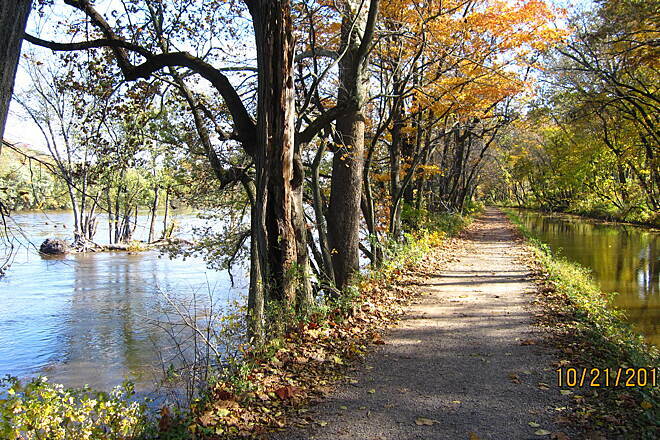 The path then runs next to the canal and Millstone river all the way to Princeton where the trail runs next to the lake in Princeton. It is a very flat ride with many areas of newly installed crushed stone sand mix which is very easy to ride. During the week you almost have the trail to yourself but occasionally you will come upon a jogger or two and occasionally folks with their dogs. On the weekends the trail is more crowded but still not overcrowded. During the summer the trail is 90 % shaded. I sometimes find it hard to believe that I am riding in the center of the most populated state. 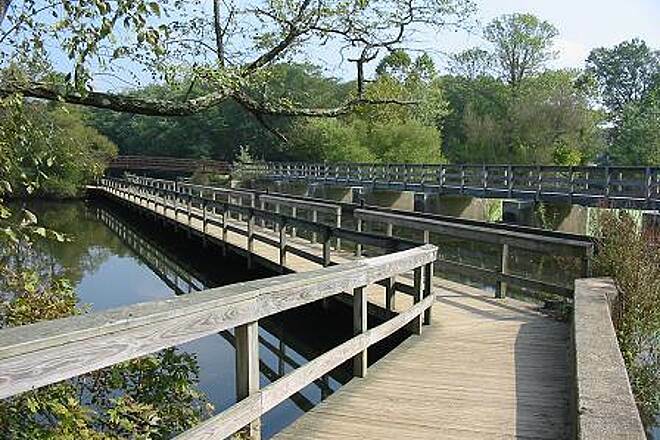 At the New Brunswick end of the trail you cross the Raritan River on the Landing lane bridge and it drops you off in Johnson Park in Piscataway. 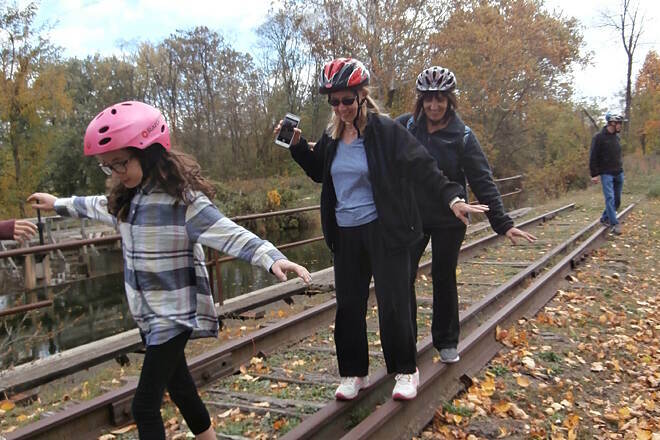 You can ride through the park all the way to the Albany street bridge in New Brunswick.There are plenty of places to park to pick up the trail you can park in Johnson park and take the Landing lane bridge and head to Princeton or you can park in South Bound Brook or East Millstone or Griggstown . In Griggstown they have toilet facilities as they also have in Johnson Park. Just to clarify the previous review. Horses ARE allowed on the main canal trail. 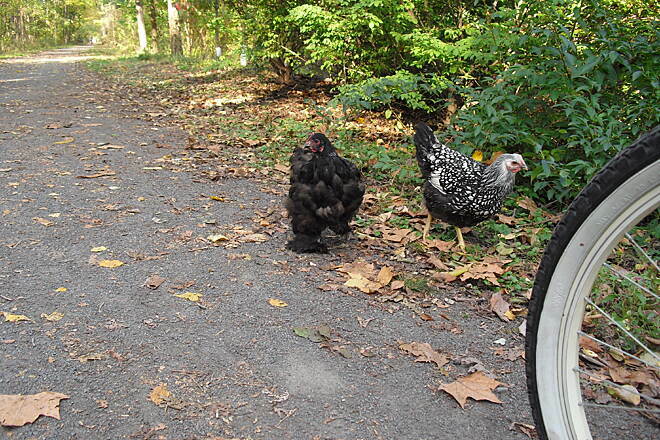 They are not allowed on the feeder canal trail. This is stated in the trail website under related links to the right of this review. We traveled 40 miles with two horses in tow only to find that Horseback Riding is not permitted on this trail. 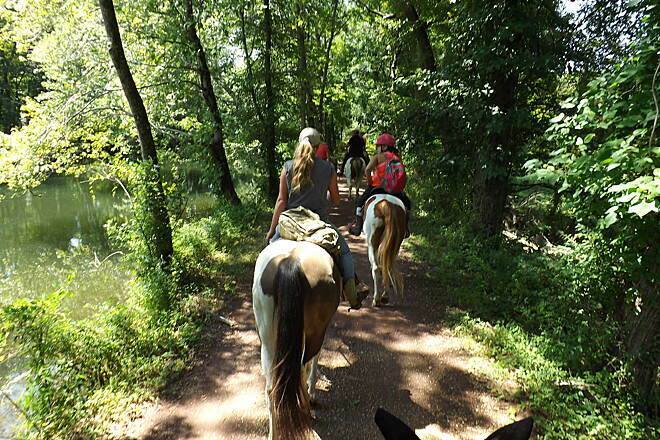 The description on this site specifically designates this Trail as Horseback Riding Permitted. The trail looked beautiful, unfortunately we were not able to enjoy it. We have traveled this trail a number of times this year. 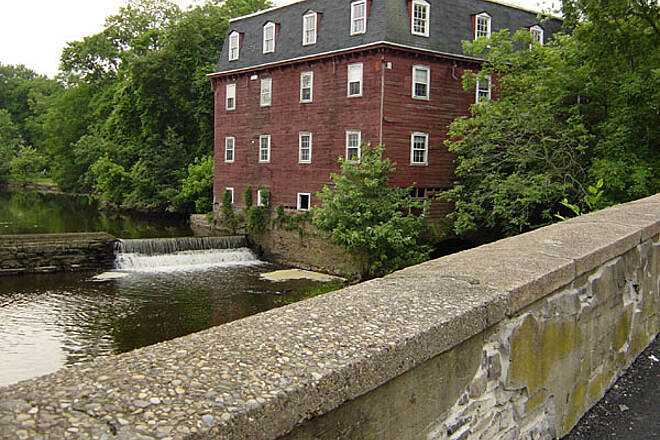 We have taken tours from Frenchtown to Lambertville and back. Frenchtown to Washington Crossing and below. The trail is very well kept for 95 percent of the way. We wouldn't recommend riding into Trenton though. Several miles out you start to see some trash, and the trail starts to look unkempt. Further down we ran into transients hanging out along the trail, this right by a police station. We didn't waste much time back-tracking toward Washington Crossing. Lots of places to stop along the way, snack, take pictures and just enjoy the day. Lots to see in Lambetville, Stockton and Frenchtown as side trips. the surface is really nicely packed gravel for the most part and is a great place to bring kids. We plan on taking my grandson next year for his first bike tour on this trail. The only caution I give is to watch out for folks with dogs. Some folks don't have their dogs on a leash and We've had several near misses. I almost hit a small dog that walked right in front of me just south of Lambertville. Luckily I always use caution around kids and dogs along the trail. This is a small portion of dog owners that can't read the leash your dog signs. So far my favorite time of the year on the trail is autumn, spring and summer are great, but autumn is the best. I rode from Lambertville to Frenchtown on a nice sunny day, about 32 miles roundtrip. Just to update the earlier reviews, I can say that the trail is still wide, flat, smooth, shaded, and in excellent shape on the NJ side. Lambertville is fairly large and attractive, but touristy. Restrooms are hard to find here and along the entire section I rode. No fast food places or gas stations with open facilities. Stockton and Frenchtown are small, but clean and attractive with a few trendy places to get food and drinks. This is an awesome ride and I look forward to doing it again. BTW, New Hope is very touristy, pricey, and overrun with Harley riders and loud motorcycles on weekends. I would avoid it, although there are more decent restaurants there. Washington Crossing to Stockton and back via PA trail. I'll start off by saying I do this for exercise, not sight-seeing. But the sight seeing is very nice most of the time, especially in the fall. I'm 63 and do the best I can !!! I use these two trails because your are in the shade over 90% of the time. This is a plus on hot summer mornings. For the last 7 years I have done one of these two "Saturday Morning Rides" virtually every Saturday morning April thru Sept.
Just a tad over 12 miles each way. I start and end at Stockton. The first 4 miles or so are reasonably flat. The last 3 miles approaching Frenchtown are flat. The middle 5 miles are a constant uphill grade. My guess is 2-4%, depending on the stretch. When you get to Frenchtown, drive around the town for a mile or so, then head back south (and downhill) to Stockton. When you finish, you will have completed 25 miles. Typically, it takes me 2 hr 15-20min to do the ride. This does not include my 10-15 minute break when I get to Frenchtown. Once back at Stockton you can check out Meal's Restaurant. Excellent food. Tho after my 25 mikes, all I want is one of their Dried Cherry scones and an ice tea. OK, stick with me here. Head north on the trail until you get to trail mile marker #41, then turn around and head straight back south. Continue past Stockton where you got onto the trail. Keep heading south toward Lambertville. Do be a bit careful about 3-4 miles south of Stockton. After you pass under a highway overpass and some power transmission towers the trail makes a sharp left turn and then an almost immediate right turn. Keep going into Lambertville. A great little town to walk and ride thru and find some decent "fast food." When you return to Stockton, you will have ridden about 25 miles. This entire ride is pretty flat. Ride time about 2 H 10 Min. I have been riding on the canal trail since 1998. With exception of the section from the falls by the I-95 bridge in Trenton to the area south of Princeton, I have riden the entire trail. When my wife and I were training for our 100 mile Leukemia and Lymphoma ride in 2003, we used the trail for our 40 and 50 mile rides. I have taken my Grandchildren on their 20" bikes on the canal for a 12 and a 13 mile rides. 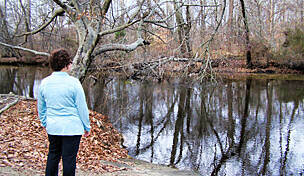 Unfortunately in March of 2007 there was a tremendous flood which actually washed out sections of the tow path. There were sections where the flood water was six feet higher than the tow path. It has been a hugh task for the state with its financial problems to make all the repairs to bring the trial back to its former excellant condition. As of 1 May 2008 I believe they have finally succeeded. I was on the trail this past Saturday (accessed it via the Weston Causeway.) It looks like they laid some new gravel, or better said, a lot of little rocks, on the trail. Because of this, it made the trail quite slippery, and traction was difficult as well. I'm sure that as the gravel settles and is packed into place, the trail will be much more pleasant, but for now, it can be quite a challenge. It's rideable, as long as you keep spinning those wheels and no sudden turns! 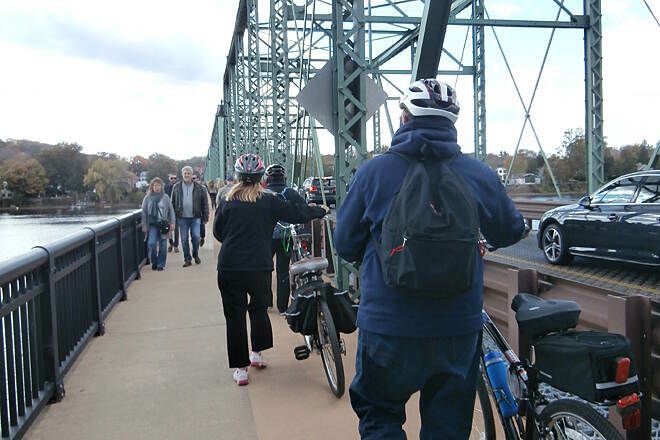 "In the past year or so, a new bridge has been built that takes you over Route 1 in the Lawrenceville area, so you can ride the canal from Trenton up to Princeton without having to cross Route 1. 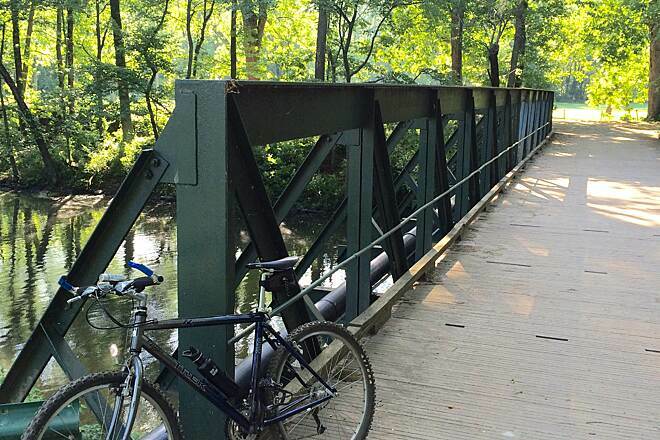 Really nice ride -- very smooth trail and pretty scenery even being so close to major roads." "Rode the section from Millstone up until northern end in New Brunswick last Sunday (8/5/07). Many sections of the trail have cracked bluestone. NOT GOOD FOR INEXPERIENCED RIDERS OR CHILDREN. I was surprised how much bluestone there was. Some sections had about 50' or longer lengths of rock that were tricky even for my mountain bike tires. First couple of miles o.k., but after that be prepared for some challenges (unless you get off your bike and walk these sections). 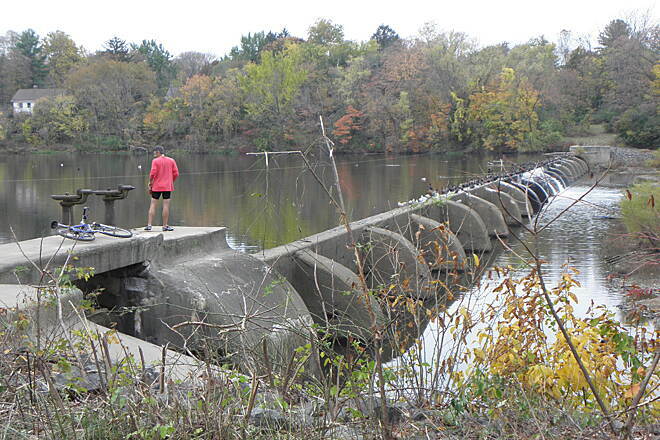 This section, like other sections of the D&R Canal, has spillways which are like large cobblestone roads. Skinny tires need not apply, as these sections are also about 50-100' long. Go slow and watch where you aim your tires so you don't get caught in a groove between two rocks. Near the end where it crosses Grove St(? ), the trail turns into single track dirt with lots of poison ivy around you and the weeds have grown over the path. I elected to turn around here. Total distance round trip was 23 miles. There are some steep hills also with loose bluestone, and one that leads to a large concrete pad. BE CAREFUL. 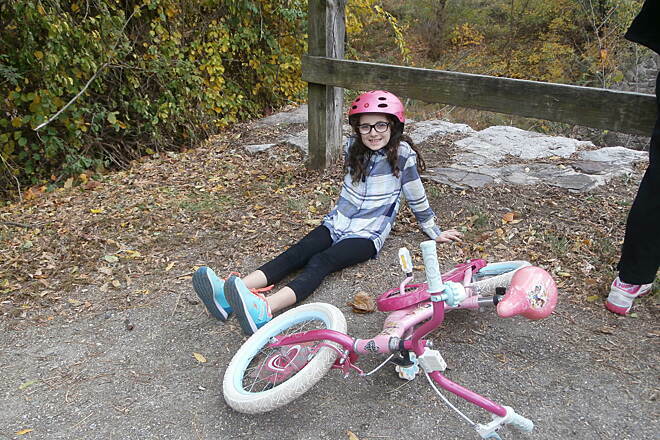 Do not overestimate your biking skills. I would rate this section as ok for more experienced riders. Pretty views of both the Millstone River on one side and the D&R Canal on the other. Lots of shade, so was cool enough on this hot sunny day." 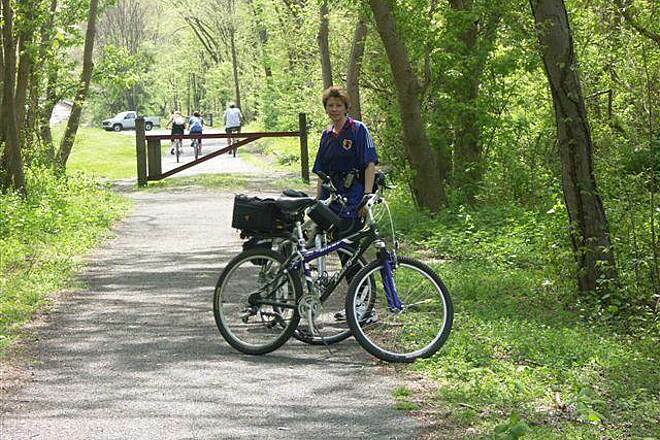 I have traveled the Delaware River Feeder Trail many times. This was the first time I biked the Raritan Main canal trail, and it was a very pleasant experience. 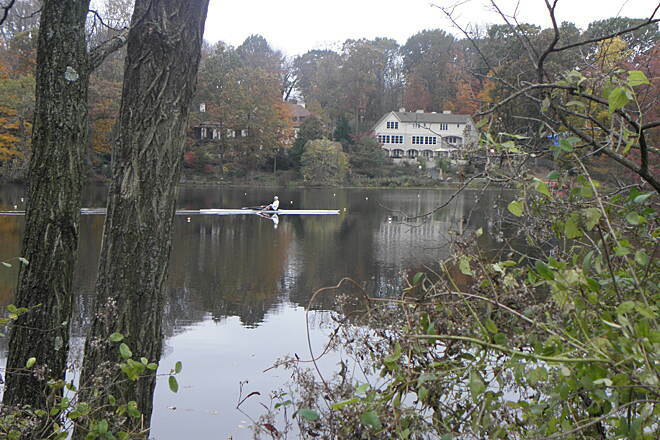 Carnegie Lake was beautiful on this clear fall day, and the Crew competition by Princeton was in full swing. The trail surface varied from dirt track to some gravel, and was muddy in spots due to the recent rain, but the going was pretty smooth. 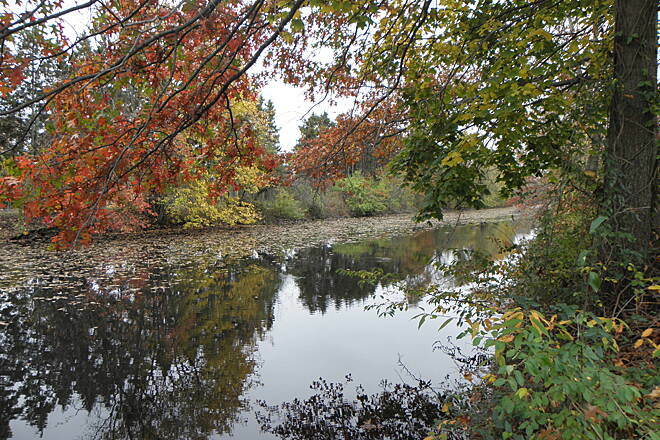 The canal widens just south of Carnegie Lake, and is very picturesque with the fall colors. I would recommend this trail to all. I will be returning to experience the northern section soon. "We rode this section April 07, and I'm happy to say that the trail surface has survived the floods. There is some damage along the route, but the trail surface is still good. We didn't ride south of Lambertville, but looking from our car along route 29 the surface looks good also." "All of it, including the sketchy parts"
One more thing. It can get pretty bumpy after Lambertville for about a mile. The rail ties are visible through the ballast and the gravel becomes jagged stone that is quite jarring and annoying. Ride the grass where it's passable. 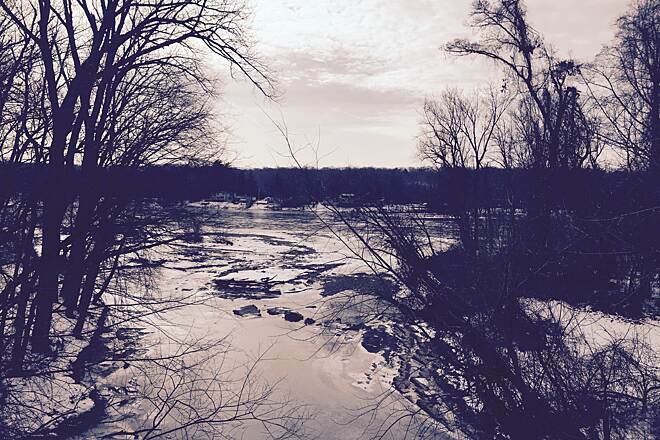 "I rode the whole trail from Frenchtown to Trenton over the course of a few days. I was biking from Port Jervis to Trenton and had a stayover in New Hope, Lambertville, and Tyler State Park in Newtown (Bucks County). The trail actually starts a little south of Milford, NJ and a little north of Frenchtown so you have to backtrack. Milford is not so great and has half a main street to see. The trail is great here and Frenchtown is touristy but nice and small. The breeze from the Delaware is nice and so are the historical markers, but they do repeat in each town. There are some side roads further south near (Titusville) where you can hit a boat launch and take a swim. Stockton was small and had nice historic buildings with a wedding at the mill. Lambertville and New Hope were tourist traps, but they were nice. Each village has great neighborhoods, establishments and little alleyways with the trails going under bridges and roads and through the town. The towns are basically 18th century settlements with Lambertville being bigger and more spread out and flat. New Hope is traditionally more touristy and mountainy but there are some great non-touristy real places to hang out at. The locals talked about the flood waters that had just receded and it was the 3rd flood in 22 months. The river was high in many places and they had just reopened their shops, and the newspapers were still talking about it. The locals also talked about how the trail on the Pennsylvania side and Route 32 was basically still flooded, and was since a year ago but the trail maintenance still hadn't happened and they were quite angry. 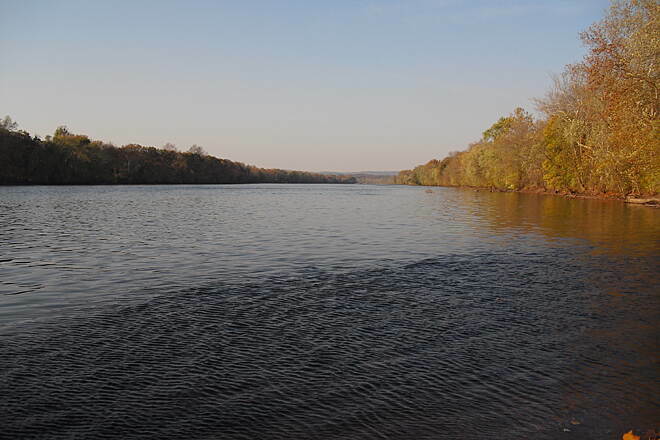 South of Lambertville, it goes through Washington's Crossing, but about 2 miles or so before that, you can turn off the trail to a dirt road that follows the water and becomes a paved road with great houses and parallels the trail to end at Washington Crossing State Park. A great restaurant/liquor store is here on the road near the bridge. South of here is West Trenton and the population grows. The trail is spotless until you get to West Trenton and there is more and more trash everywhere. In Trenton, folks inhabit the right of way. I heard stories of crack dealers and prostitutes and people stealing bikes. I saw nice people who were basically drifters, but towards the end of the day, prostitutes were walking the trail. Just be yourself and keep moving. In Trenton, you'll see a wooden bridge (double tracked) with a fork. If you take the left, you'll end up eventually at Southard and Brunswick Avenue in a weird, dilapidated part of town. Trenton is very poor, even near the Capitol, but the locals are nice with getting you on the lost trail through the city. The trail ends at a little park, but you can still go forward. Look for the traditional red gates with the D and R logo. If you backtrack to the fork and go right it ends, sort of at Calhoun Street and there's a really old canal house at the bridge. The Capitol is down the street. The canal is visible and there's tilework on the bridge. They make it easy to follow as there's a brick outline in the street between the canal segments that are cut off by the pavement. You go to the right of Calhoun St and it continues through properties and ends near Green Street near the capitol at another old house from way back in history, tucked behind an old neighborhood. You can follow this across the street behind houses and across town where it eventually gets lost around Route 1. This took a few hours but I kept retracing and you have to be a little adventurous when tracing history. Don't just end where you think it ends. Continue. The canal does go through the city. I was told you can pick it up at Whitehead Road in Lawrenceville, on the Trenton/Lawrenceville border." "I rode this trail Memorial Day weekend. I rented the bike at the gym on Union Street on the South side of Lambertville by the trail. From Lambertville to Stockton, 4 miles, nice views of homes and canal and large waterfall(partly artificial due to canal). 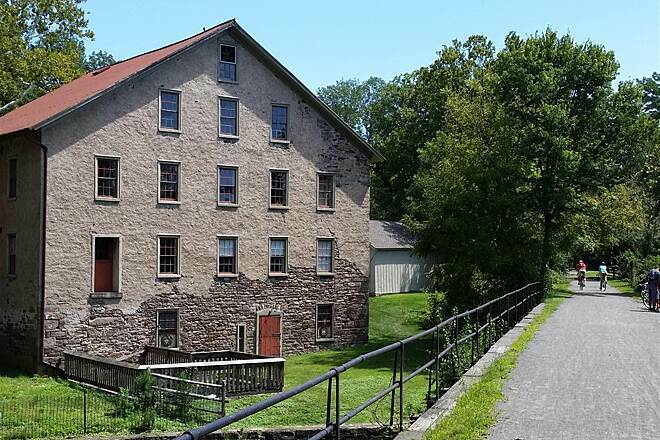 An historic mill with another waterfall near Stockton, with art lessons going on. No views of river until Stockton. North of Stockton, many views of river, although limited by trees. At Bulls Island State Park, there is a pedestrian bridge across the Delaware. I rode through the campground to see where the canal comes out of the river-it was a feeder source of water for the Raritan Canal in Trenton. Water and restrooms at Bulls Island. North of Stockton, foothills of Appalachians begin. I ate lunch at old station in Stockton. The old rail line is not actually followed from Lambertville until just south of Stockton, so you can see the old tracks in many places on the opposite side of the canal. 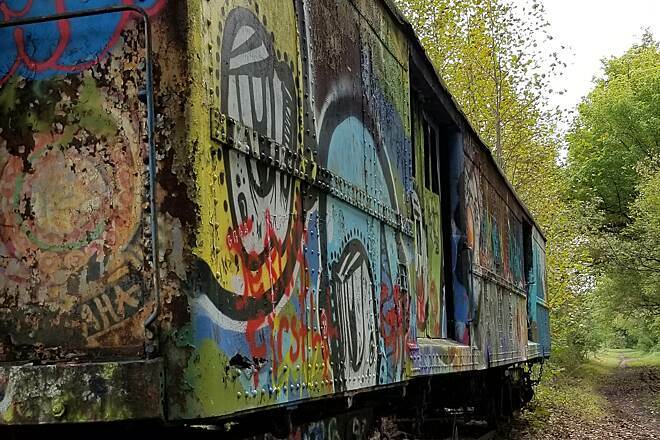 The trail goes under a train bridge that was for an industrial siding." 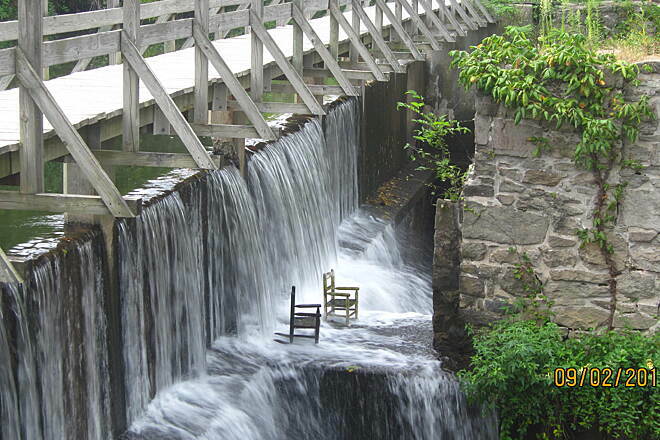 "I'm pleased to report that the flood damage of 2005 has been repaired. There is a new surfae from Washingtons Crossing to Lambertville, and spot repairs from Lamberville to Bull Island." 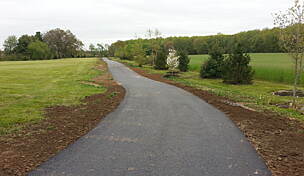 "This part of the trail is now in great shape, smooth surface all the way. Bull Head campground is, however, closed for season because of April flood damage. Pesestrian bridge across Delaware is open, but trail on Pennsylvania side remains washed out for much of its length. Ranger at Bulls Head said NJ trail going South from Bulls Head to Lambertville is also in generally good shape, with a few soft spots. Link to D&R site with infor and maps is http://www.dandrcanal.com/park_index.html"
"We walked a little from the Princeton parking lot and found it to be a beautiful canalway trail even in December! I could see riding bikes from one end to the other, and staying at the Hyatt in Princeton, and/or somewhere in Raritan. no hills to speak of, not paved, which I prefer." "Good, packed trail and YES, you can use a hybrid bike on this trail with no problem whatsoever. Basically a straight trail with lots of shade until you get past Stockton going into Lambertsville. I found the scenery got boring from Frenchtown down to Stockton. How many views of the river can you see before getting tired of it. Stockton to Lambertville is a totally different story. There are many remodeled homes from the turn of the century and there is a restaurant right on the trail at Stockton. It's the old Stockton rail station that has been modified. Stockton to Lambertsville is only 4 miles and if you like an upscale town with lots of nice restaurants you will definitely like Lambertsville but good luck finding pizza or a burger there! The Lambertsville Station restaurant is really nice and the back side of it looks like trains pulling into the station (hard to explain...must see). Basically a nice day out with a nice straight, shaded trail that starts in Frenchtown that gets boring quick until you hit Stockton. I usually ride the PA side which is totally wiped out from Hurrican Ivan and is so badly destroyed who knows when it will be back to its glory but the Jersey side is perfect because of the higher elevation from the river and the levees that exist along side it." "As of Sept. 22, 2004, call to check on the trail conditions before going. The area has been flooded and there is possible trail damage that needs to be ascertained." 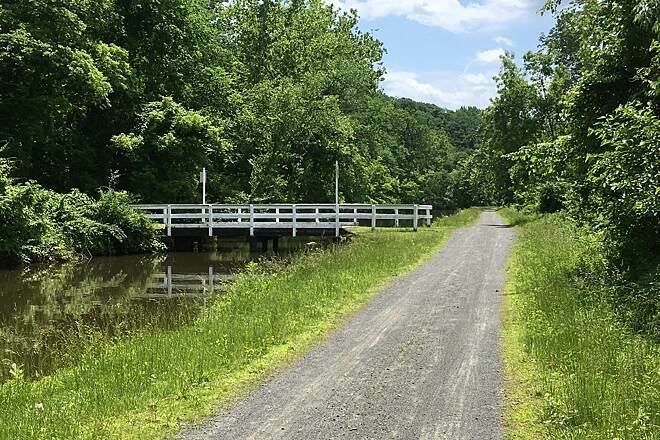 "Where have you been all my life, this was a great up and down ride, I am surprised no one has reviewed this in conjunction with the Pa. Canal Trail. Nine miles each way over the best surface, some nice views. Nice restaurants on return. Great Day!" "This is a very nice, peaceful ride along the river. 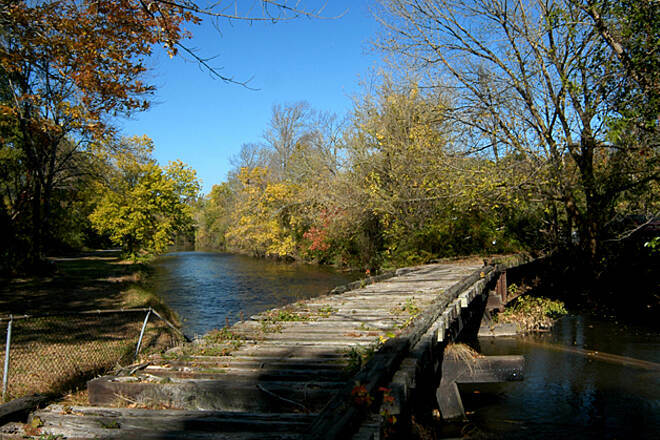 There are numerous crossover bridges along the way to head over to Pennsylvania to continue the ride on that side of the river, although most of the trail in Pennsylvania is further in from the river. Make sure you stop in New Hope or Lambertville! Two warnings: first of all, you might be well advised to turn around or cross over to Pennsylvania BEFORE YOU HIT TRENTON! The trail literally goes through south central. I'm talking dealers, hookers and homeless camped out on the trail. No kidding. Not to mention loads of trash. It seems to just sort of end in the worst part of Trenton, and I'm not sure how to connect to the main canal from there. I high-tailed it out of there and across the Calhoun Street Bridge as quickly as I could. Your best bet is either Washington's Crossing or at the furthest the Cadwalder footbridge before the Trenton city limits. Secondly, be aware of geese, particulary on the Pennsylvania side. They are plentiful, and they do not quickly move out of the way. I learned that lesson after three bruises and a banged up bike. Thank goodness a good samaritan passed on by and helped me clean up and get on my way again. Anyone know anything about the northern parts of both the New Jersey and Pennsylvania trails?" The canal does not cross Route 1 so you have to go to the Port Mercer section to continue the ride from Trenton to Princeton. "This was our fifth time returning to this trail and still we have enjoyed it like it was our first. This time we started from Rockyhill and headed north toward the most northeastern part of this grand trail. The nice weather complimented the nature enjoyed from a shaded riding-way that is stretched for miles. The smooth terrain with occasional small ups and downs made the ride the more interesting. However, there was a very short segment where the riding surface was composed of rocks that made the ride rough, but this only adds to the character of this unique trail. We saw a fair number of joggers, hikers, kayakers and other bikers along the way. About 15miles later, we found a nifty hotdog / ice cream / gift shop that was not too far off from the trail. After rejuvenating our energy, we started to head back. I am serious, there should be a triathlon race for married couples consisting of rollerblading, biking, and kayaking. On our way back, we could not resist the kayak/canoe rental and checked out a twin otter kayak. We paid a mere $14 for one hour of ride and that clearly was enough kayaking for us. After completely working out our legs, arms, shoulders, exhausting our strength, we were incredibly happy to see our car waiting for us when we got back. "This trail had almost everything to make the ride smooth and the scenery was fantastic. We parked our car at Frenchtown where there is plenty of parking available and headed toward Lambertville. The trail follows the prominent Delaware river and had nice hard, smooth riding terraine for most of the 18 miles we traveled. Comparatively, we saw significantly more bikers than what we usually see on other north NJ trails. This well kept trail had several pleasant surprises along the way which made the ride more interesting. This includes portable comfort rooms to a restaurant/lounge along side of the trail. One of the most interesting thing about this particular trail is the towns' architecture. We felt as if we were riding through some european suburban area. The trail map and mileage table can be downloaded from the homepage or available at Bull's Island park office. We are definitely looking forward to continuing on to Trenton next week. " 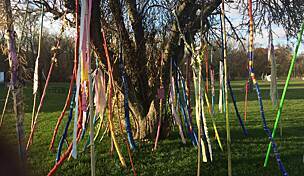 "We went from Scudder's Ferry to Bull's Island and back. It was a great ride, but there are a few rough spots that caused a pretty bumpy ride for the trailer. There are short streches though. Also, a few miles before Bull Island there is a wodden bridge that you MUST have help with if you have a trailer. The right angle turns can't be made without lifting the trailer and sliding it around the corner. Still and all, a great ride." "Great scenery and a well maintained hard pack surface. Trails mostly flat. Great for family rides. Bring food and drink, as there are no places to buy. Some crossings have bathroom facilities." 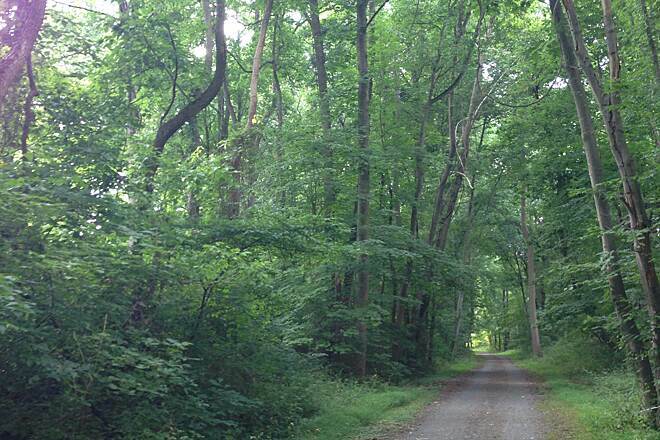 " This trail is almost 70 miles long, which is amazing for New Jersey. It is essentially two connected (actually disconnected) trails. The section along the Delaware River from above Frenchtown to downtown Trenton is a rail trail that picks up and follows the canal from Bull's Island south. The section from Trenton to New Brunswick lies on the towpath for the canal. The first section is quiet and lies between the river and Rte 29. Once the canal begins, there are more artifacts to see such as locks, mills and increasing towns. 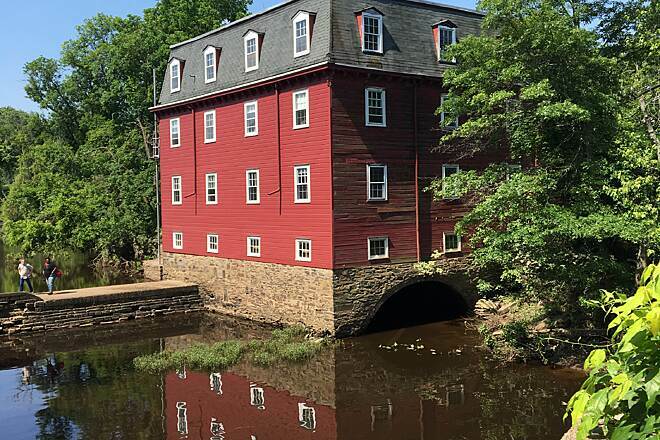 Towns such as Stockton, Lambertville, and Titusville are picturesque and provide places to sightsee and to eat. There are bridges to Pennsylvania at a number of points, including a footbridge at Bull's Island. In the upper areas, groups of rafters can often be seen on the river. Lower down there are rapids, dams and falls. 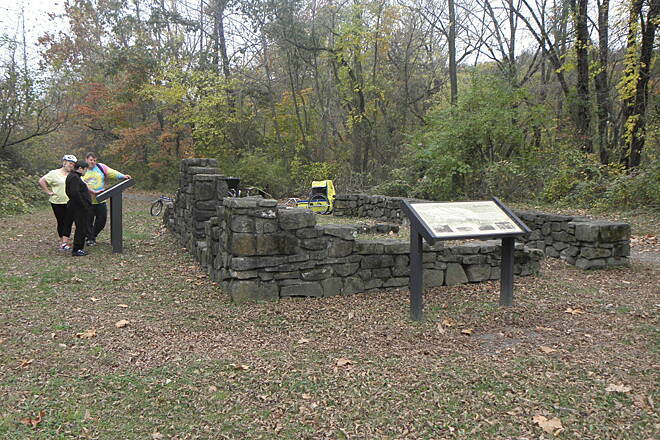 Washington Crossing State park provides many activities and facilities. As the canal reaches West Trenton, it has become elevated above the surrounding land. Roads pass through tunnels under the canal. As the canal goes deeper into Trenton, urban decay is evident, but the canal remains intact and wends it's way through parking lots, past tenaments and high rise buildings. This section ends when the canal disappears beneath Rte 1 for just over a mile. The second section from northern Trenton on gradually leaves the industrial area of Trenton behind and enters suburban, then rural areas. The section in Princeton is quite heavily used, but the trail becomes less busy and more rural from here on. 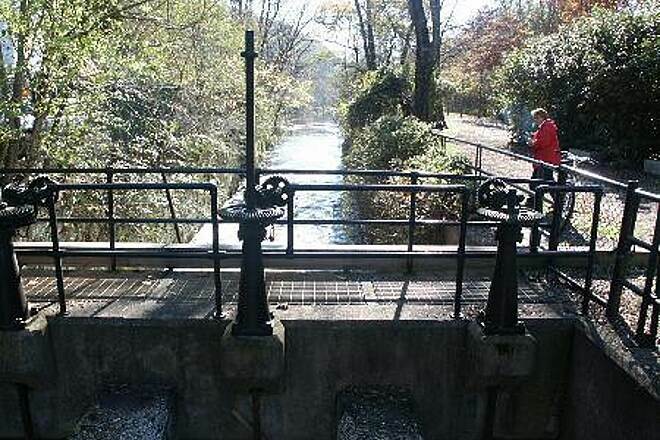 There are many locks in place along this canal and fishermen can always be found along the banks. The largest frogs in the state in large numbers make their home in the canal. 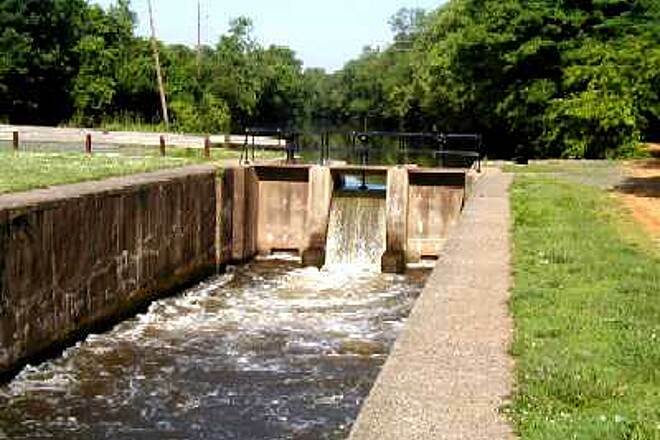 The entire canal is used as a water supply system. As the canal approaches South Bound Brook, the Raritan River comes alongside. The canal follows the river until it disappears into the river in New Brunswick. The rail trail along the Delaware is finely crushed and compacted stone. Walking, jogging and biking are allowed. Fishing and small boat use is allowed along the whole canal. 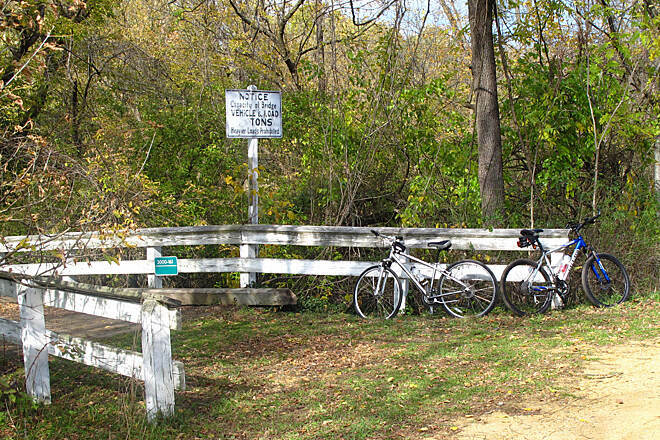 The towpath from Trenton north is natural surface, in various conditions, all suitable for hiking and biking, and horseback riding is allowed here also. This trail is a gem! It was preserved early by the state after it's prior uses had been abandoned. Enjoy the state's foresight! 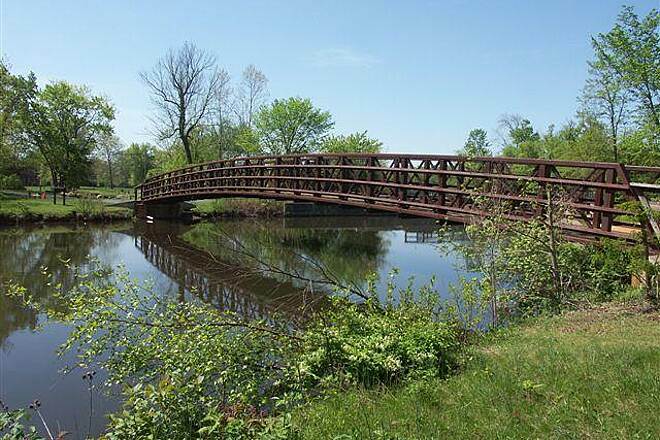 "I biked the main trail from New Brunswick to Route 1 in Lawrenceville on 11/10/01. Round trip distance for this stretch is about 58.5 miles. It was my first time on the trail and I was very impressed by its cleanliness and upkeep. Although the peak fall season had ended, there were still many splended views of nearby farms, fields, the Canal itself, and lakes. I saw many families with young children biking and hiking but the trail was not crowded at all. There were several sections of this route where I was the only individual in sight. However, the sections near New Brunswick and Princeton Township were very populated with people. I parked off of Easton Avenue in Franklin Township but there are many on-off points along this route. There are several street crossings; the busiest has a tunnel under Route 27. Caution should be exercised with young children. Unlike many rail trails I've ridden, this route does not pass directly through any business districts. So, carry your own food & drink to save taking a long side trip off of the path. There are many benches along the route to stop for a rest, drink, or snack. I traveled one hour by car to get here and was not disappointed at all. "This trail should only be taken during the colder climate. We ate more bugs than lunch. It is beautiful and easy access to towns,mostly flat,a bugmans #1"
"I like the feeder trail for biking because of its many accesses and cross-overs to a similar trail in Pennsylvania. There are many access points where we get on the trail, cross a bridge over the river and come back on the PA side. Makes for a nice round trip without having to turn around and go back the same way we came. It has a good flat service, mostly dirt and cinders. Most of the time we go 20-30 miles but shorter trips are possible. The main trail is different. I have ridden it from Kingston south. It passes through populated areas and crossing the roads can be tricky."